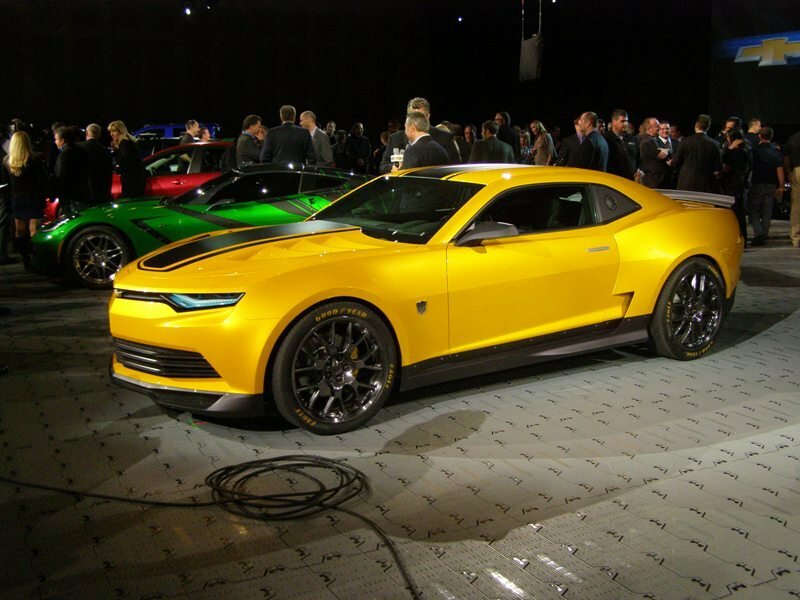 With the introduction of a new generation Corvette, the C7, it figures that a new Jake design would be in order. 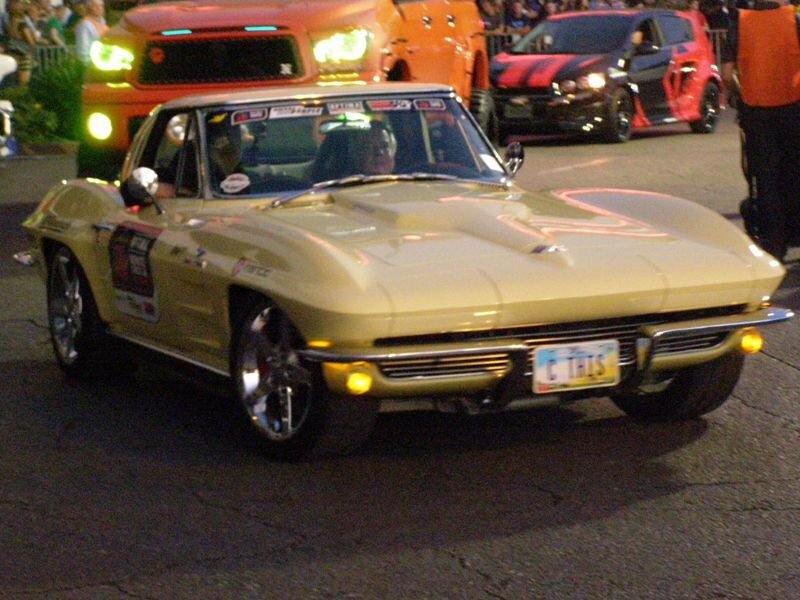 Jake is the logo for Corvette Racing and featured a modernized skull with the corvette crossed flags as the eyes. 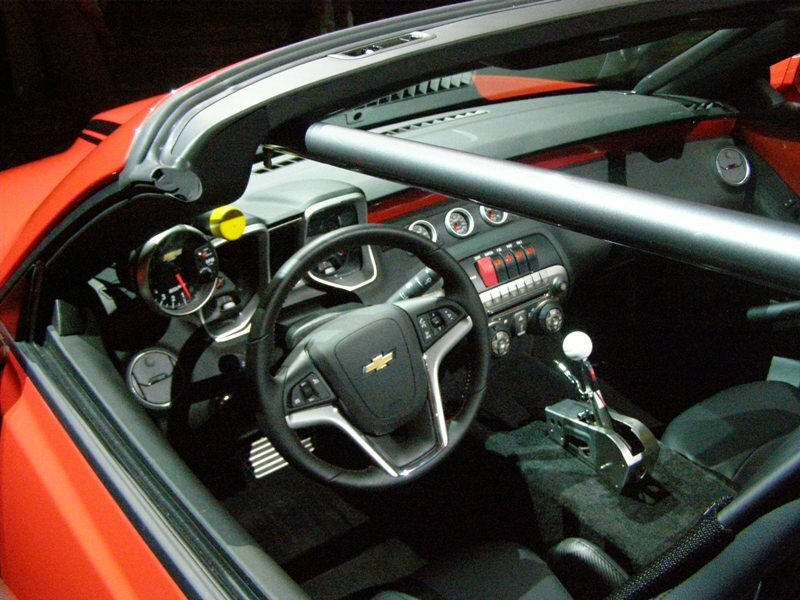 The C7.R (the full on racing version of the Corvette) will make its track debut at the Rolex 24 at Daytona in January, 2014. 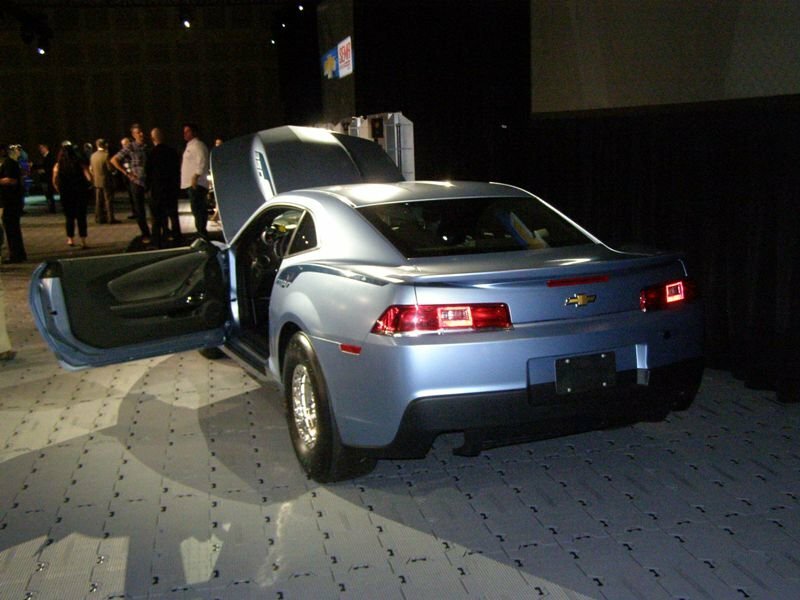 This is the day after its unveiling at the North American International Auto Show in Detroit on Jan. 25, 2014. 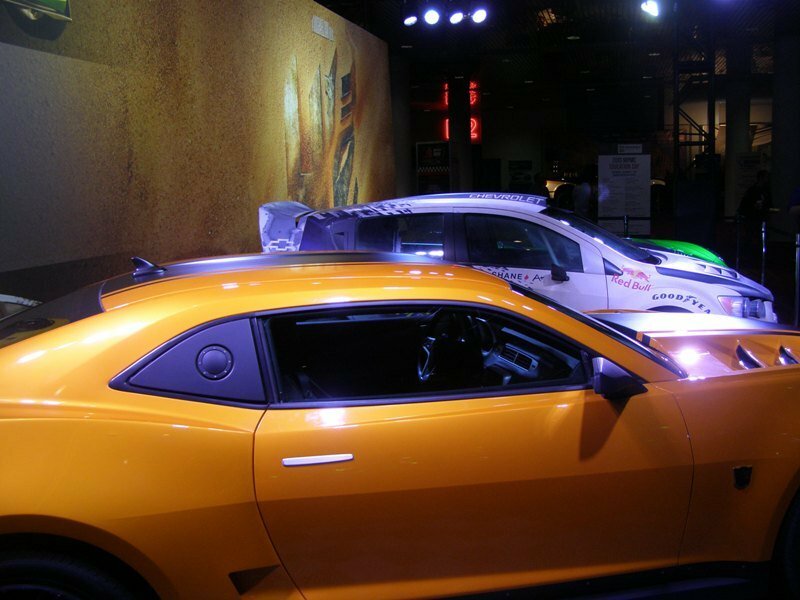 When the C7.R takes to the track, it will sport an all-new Jake logo, which has become the unofficial mascot of Corvette Racing. 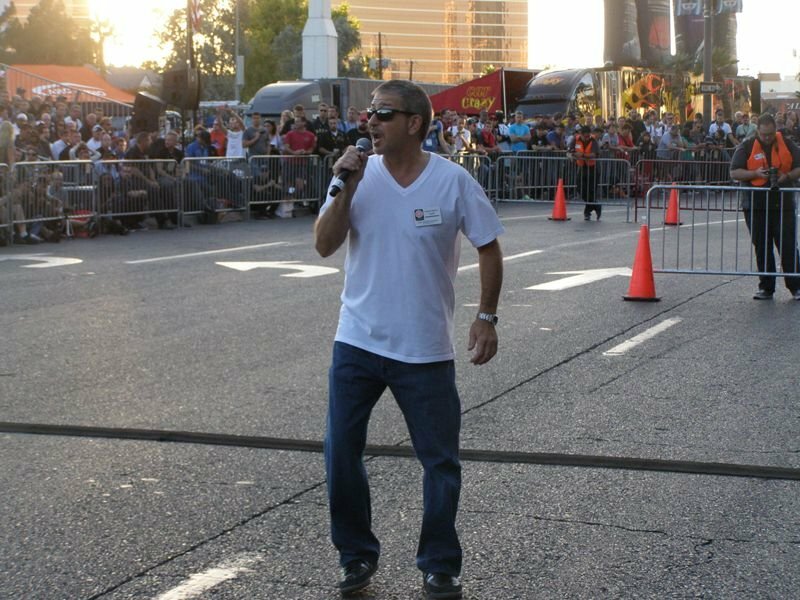 Jake first appeared in the early 2000s, when the Corvette Racing team was gaining momentum and winning multiple ALMS championships and the 24 Hours of Daytona and 12 Hours of Sebring. 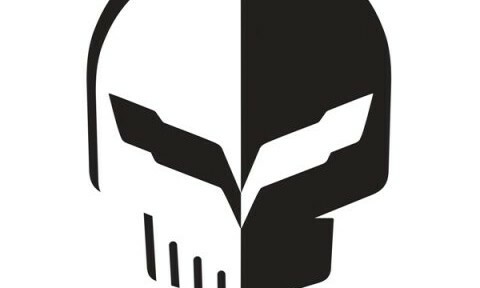 The team began uniting behind a rally cry of “Take No Prisoners” and a flaming skull logo that represented its unrelenting drive for victories. 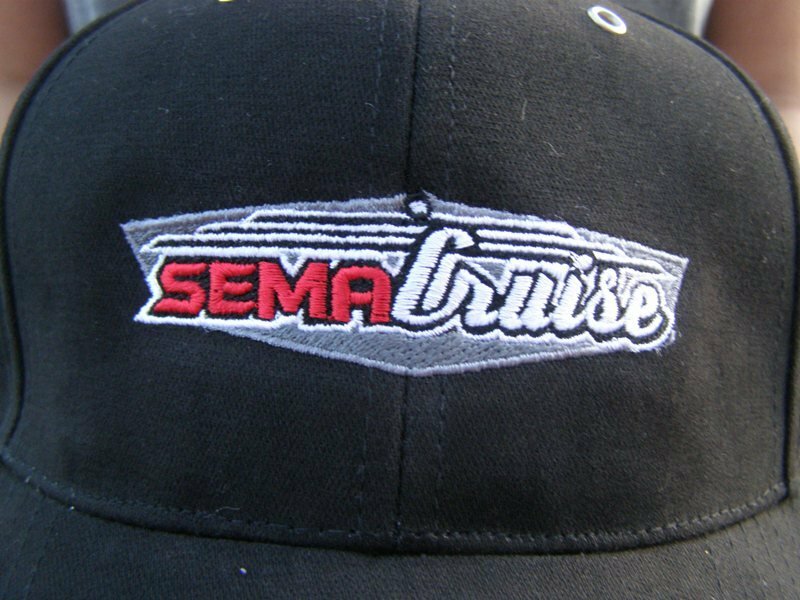 It wasn’t until after the C5.R completed the final 24 Hours of Le Mans that the unofficial logo was born. 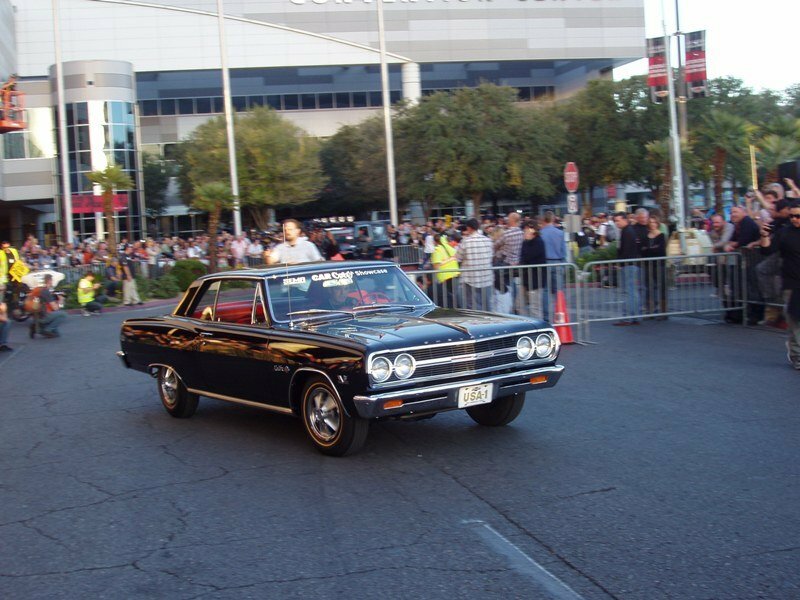 Urban lore claims that the sketch started on a cocktail napkin as a skull with crossed flags for the eyes and was named after Jake, Jim Belushi’s character from The Blues Brothers. 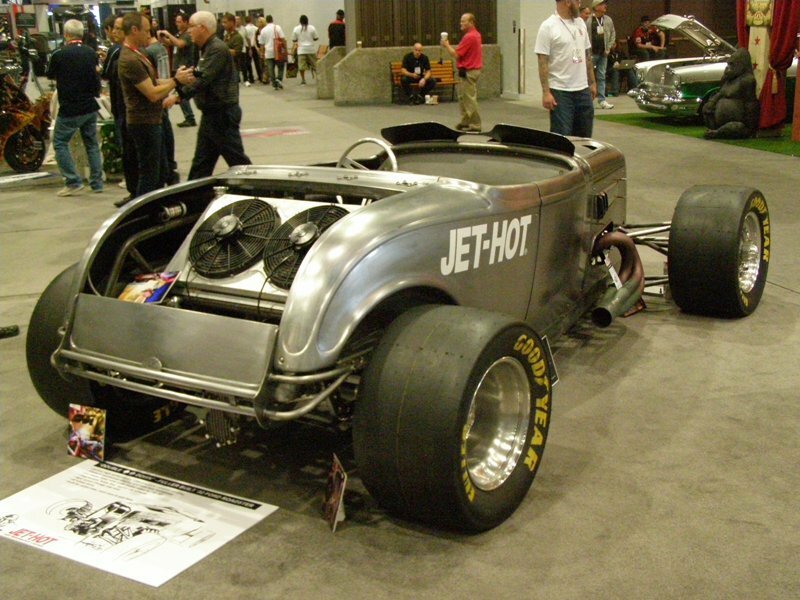 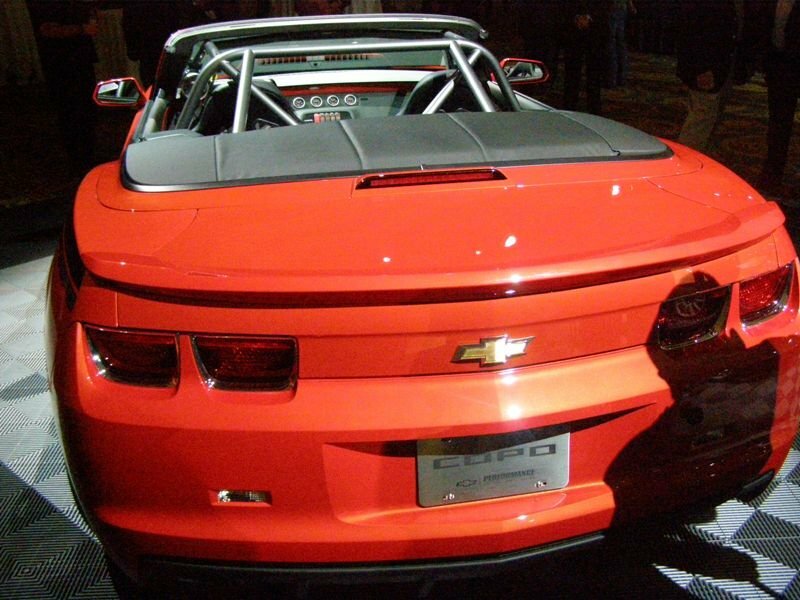 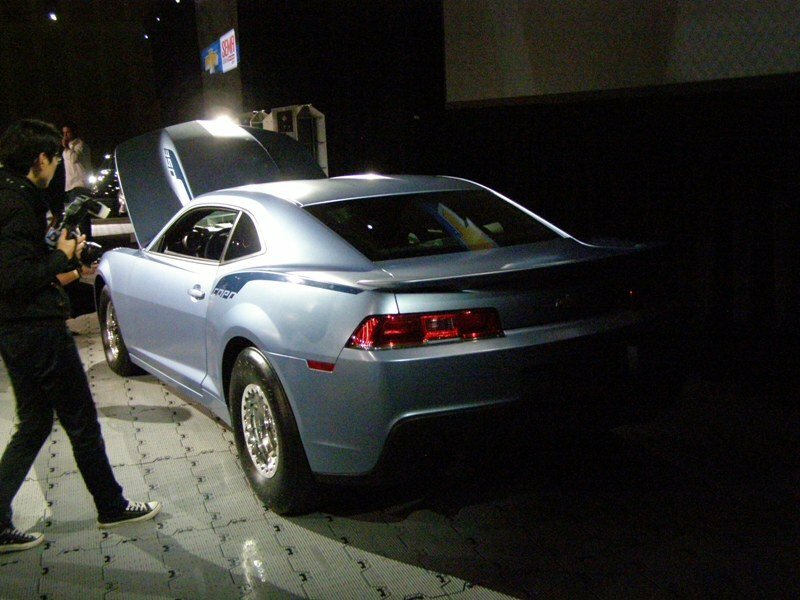 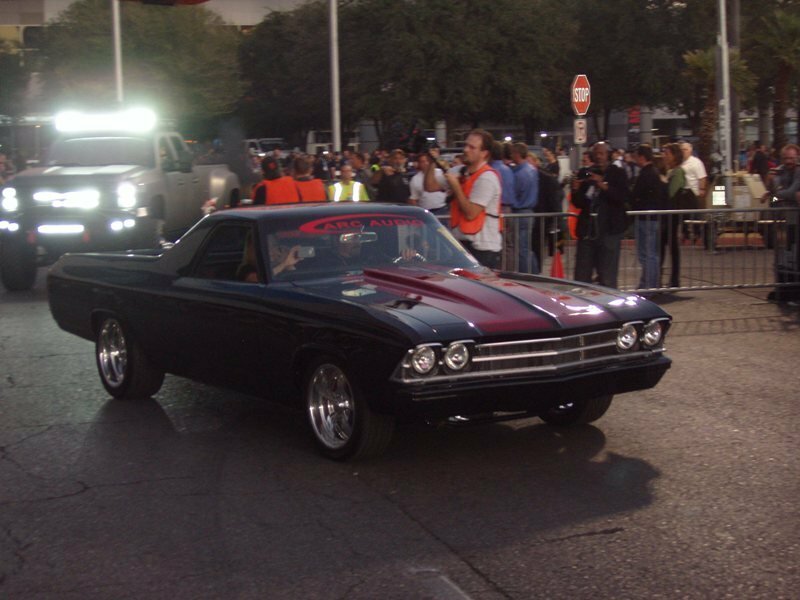 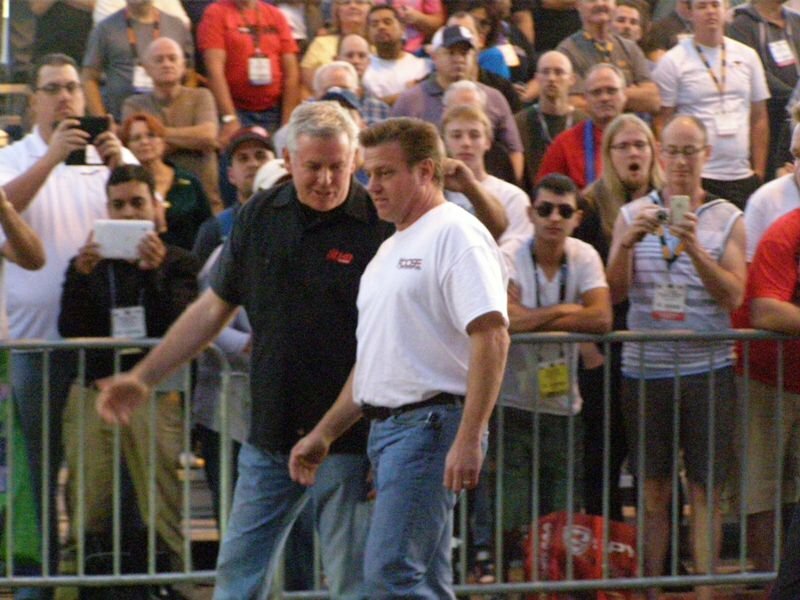 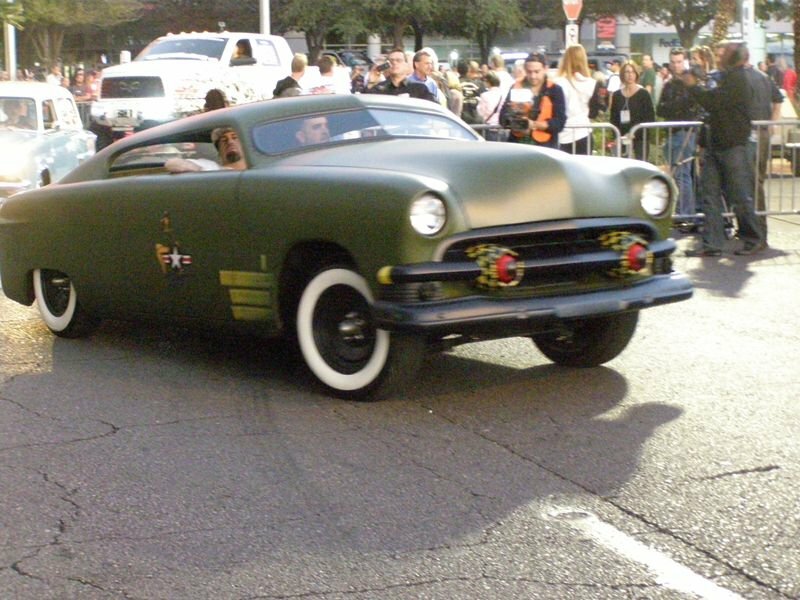 Jake even was honored with Chevrolet concept car that was shown at SEMA in 2010. 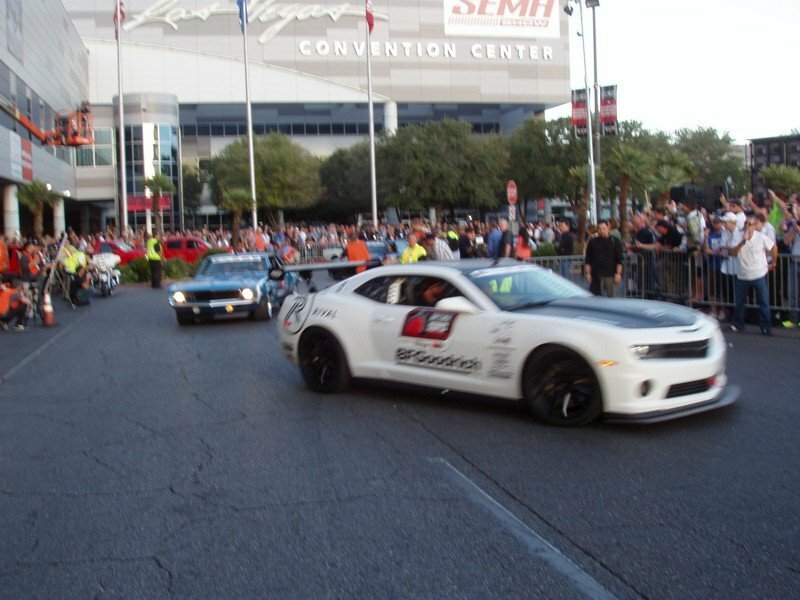 It was based on a Grand Sport edition and was liberally covered with sedate Jake logos. 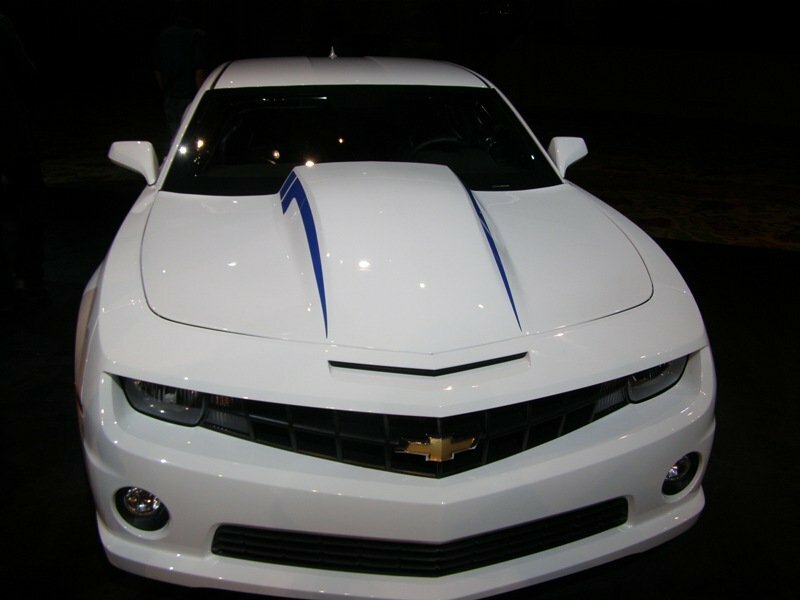 The new Jake, with the seventh-generation Crossed Flag logo for eyes, is more modern and more aggressive just like the C7.R will hope to be. 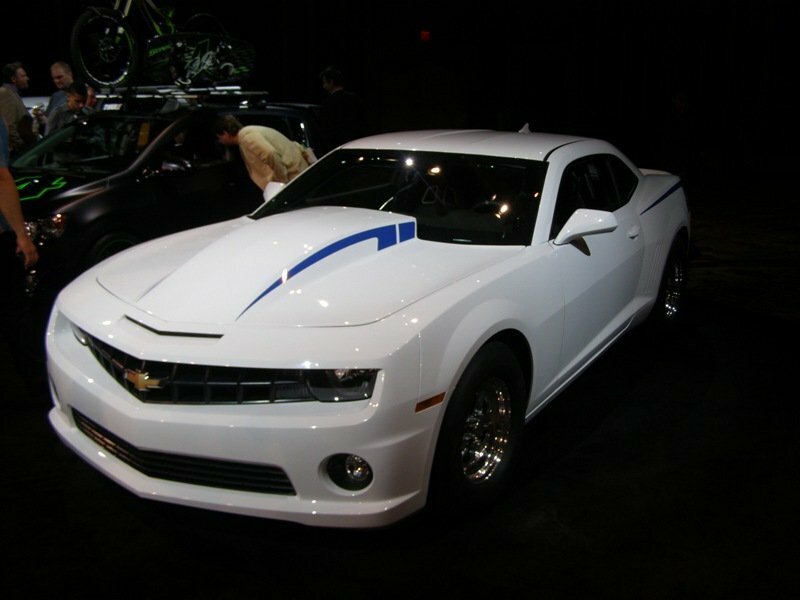 The Bumble Bee is one of the main characters in the Transformer Movie Series and is a bright yellow Camaro. 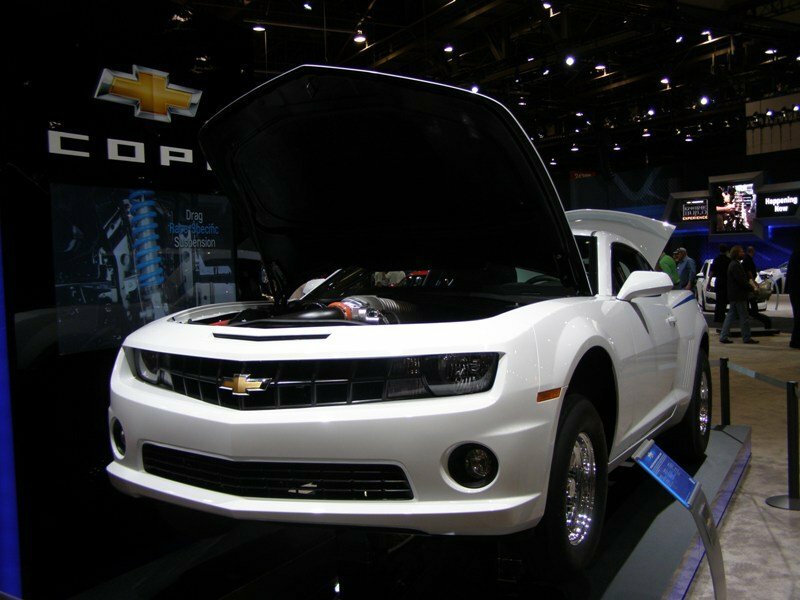 Chevrolet certainly enjoys the publicity that is garnered by the Bumble Bee and Hollywood studios are known for accepting cash or product for a movie “placement”. 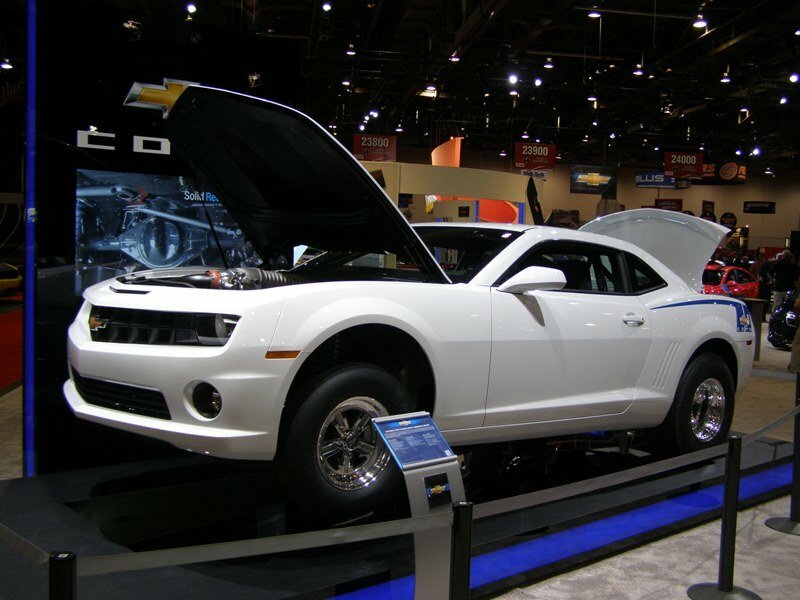 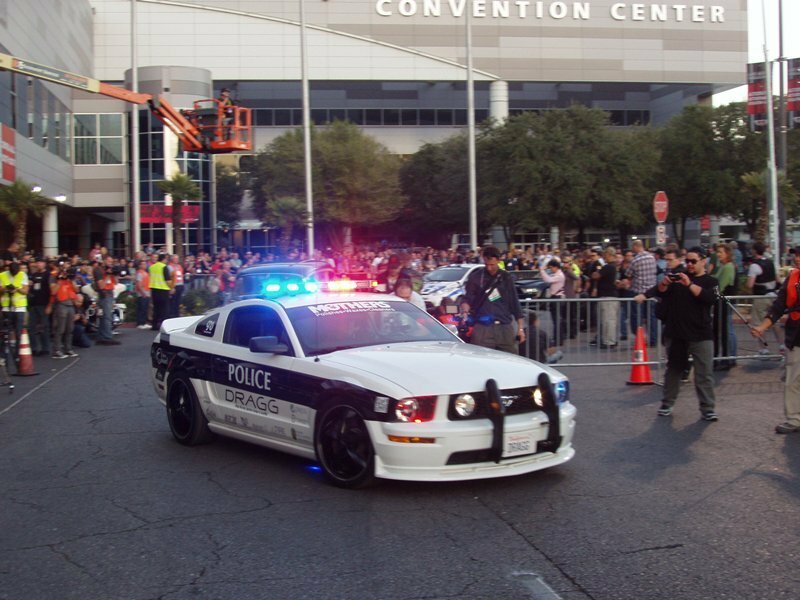 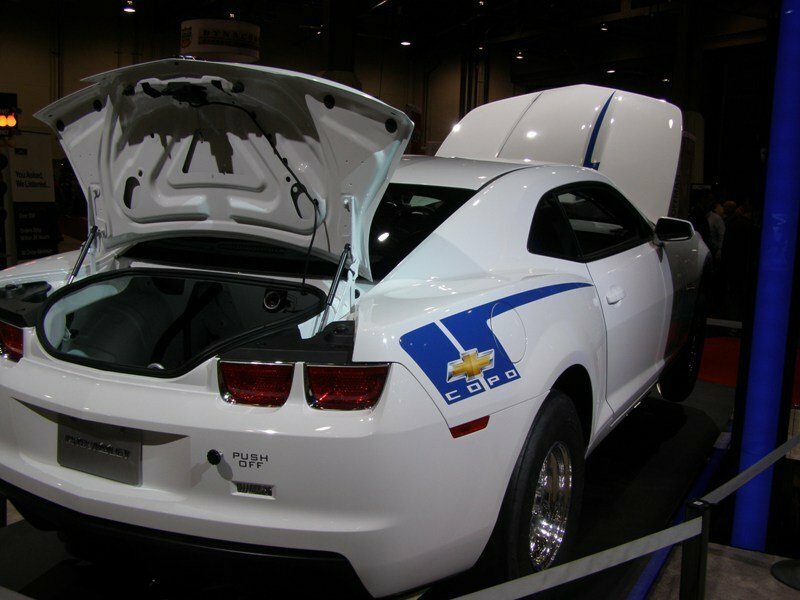 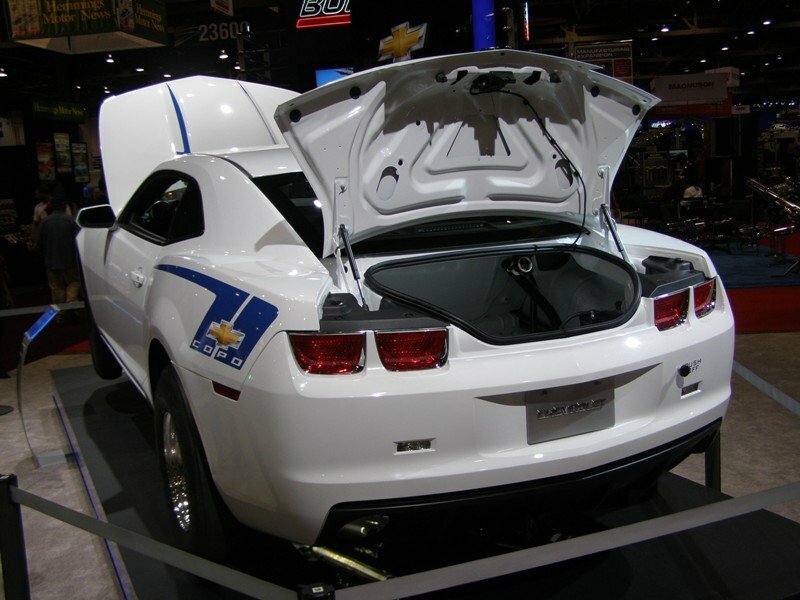 At the recent SEMA show, the three “stars” of the upcoming Transformers 4 movie directed by Michael Bay were showcased by Chevrolet at a standalone display. 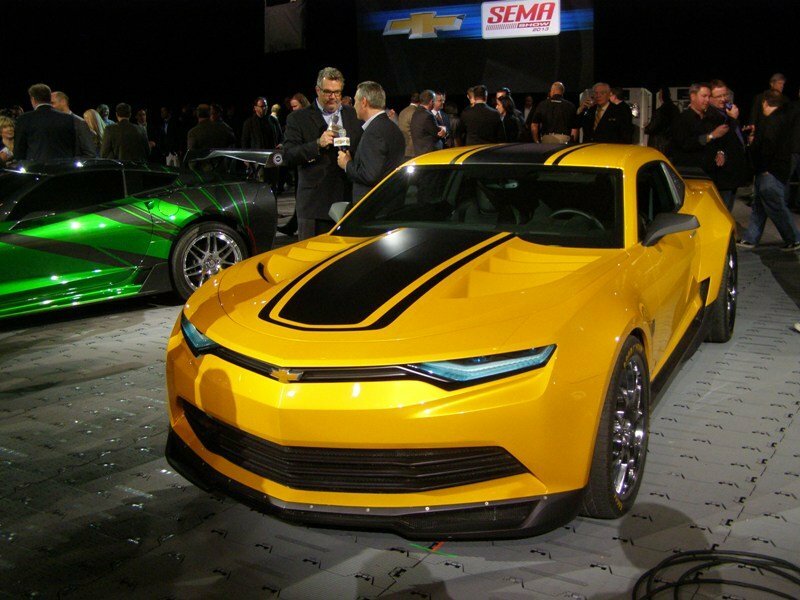 Present were a new sleek Corvette Stringray, an urban looking Sonic and the yellow Bumble Bee Camaro. 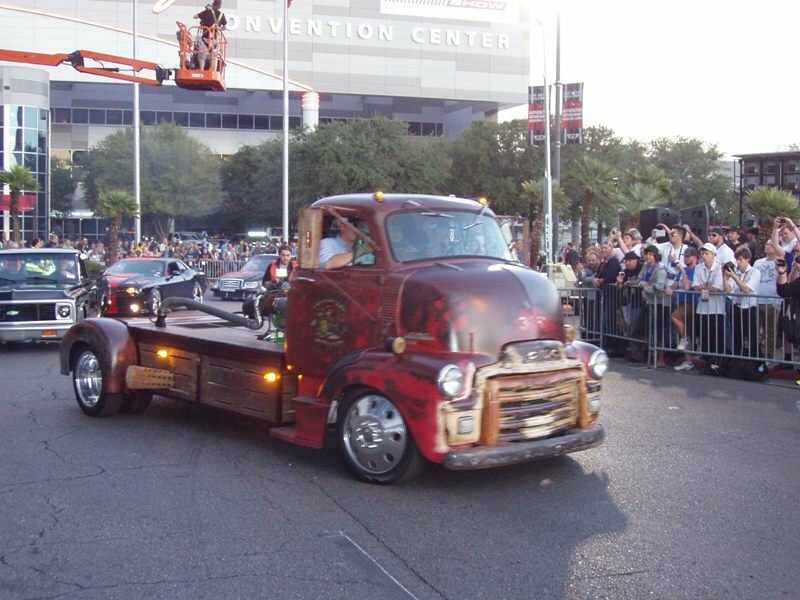 They were highlighting the upcoming Transformers 4 release next summer. 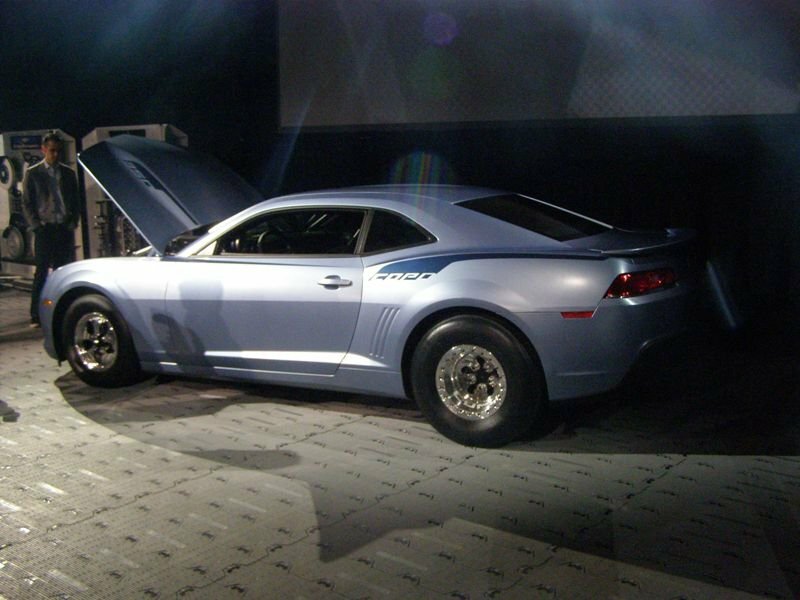 The same three cars were present at Chevrolet’s Media Event. 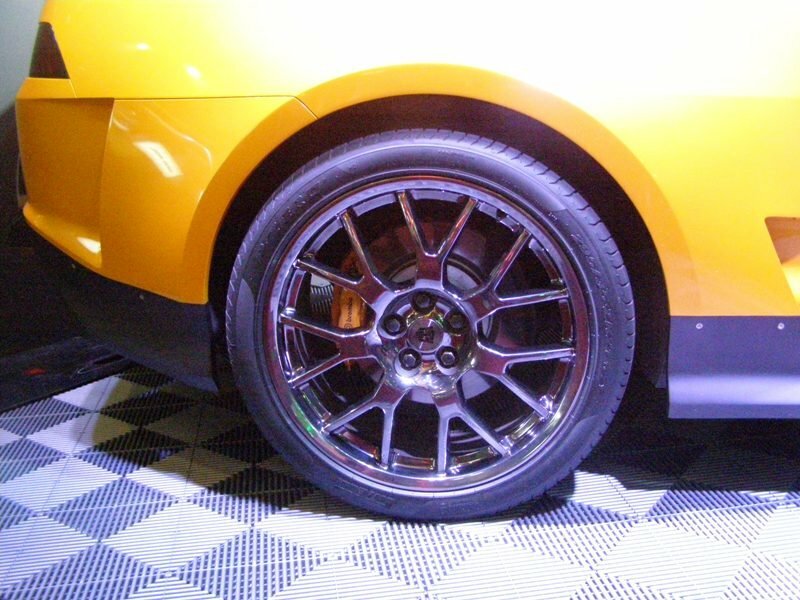 But after Monday’s event some sharp eyed spectators noted a slight change in the “shoes” the Bumble Bee was wearing. 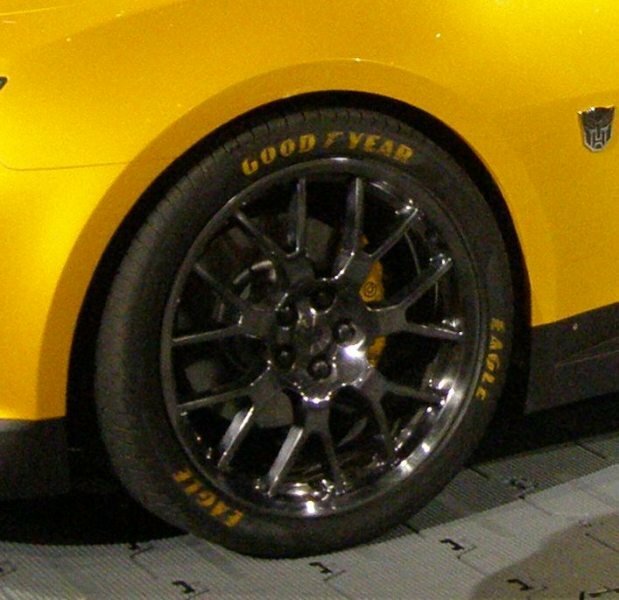 It turns out the Hollywood magic must have worn out and the painted on Goodyear logo and Eagle name were removed showing the true brand of these tires – Pirelli. 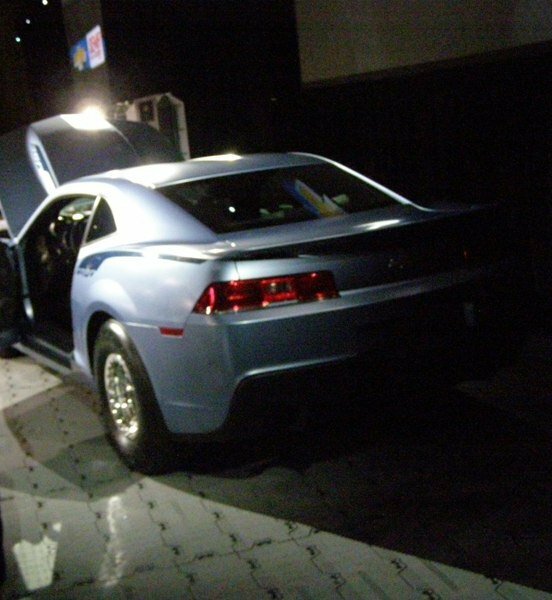 Ah, the magic of Hollywood! 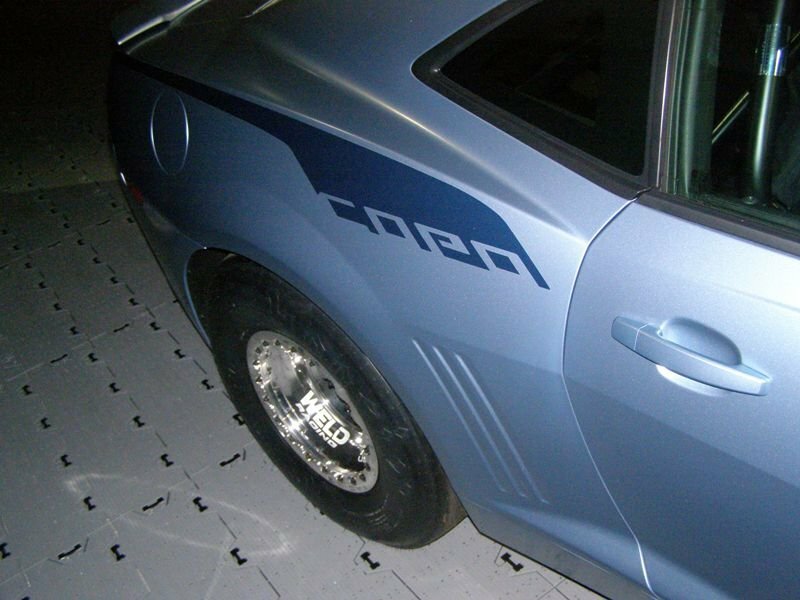 The COPO Camaro is what legends are made of. 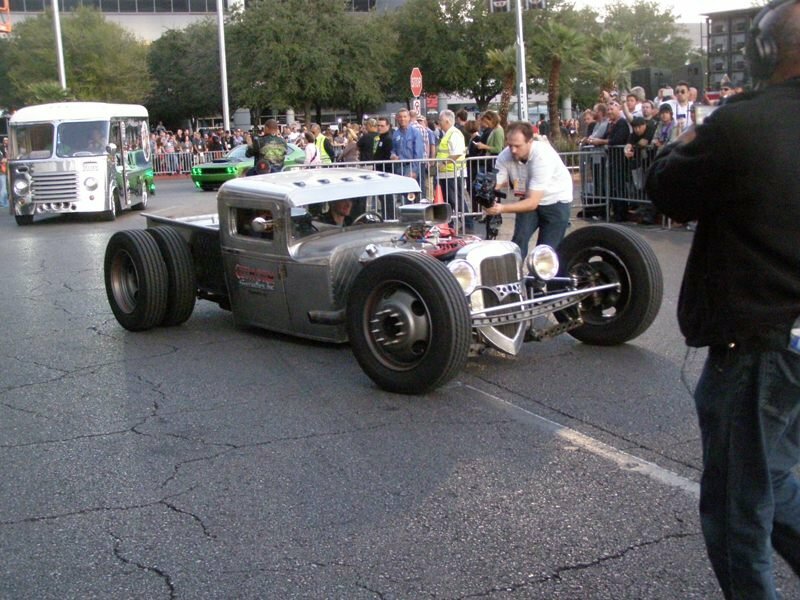 And if you watch Fast N’ Loud, the Gas Monkey franchise on Discovery, you’ll learn more about them soon. 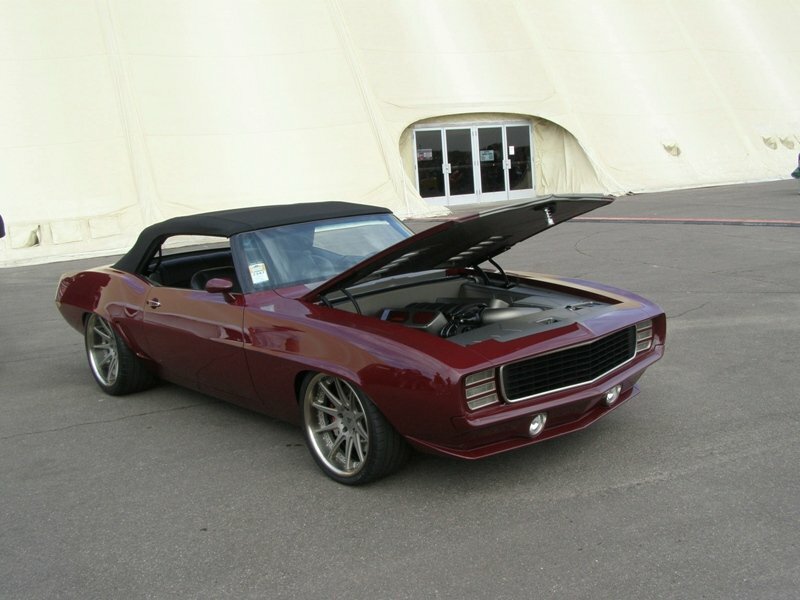 They recently sold a Gas Monkey decaled COPO Camaro in Reno, through Barrett-Jackson Auctions. 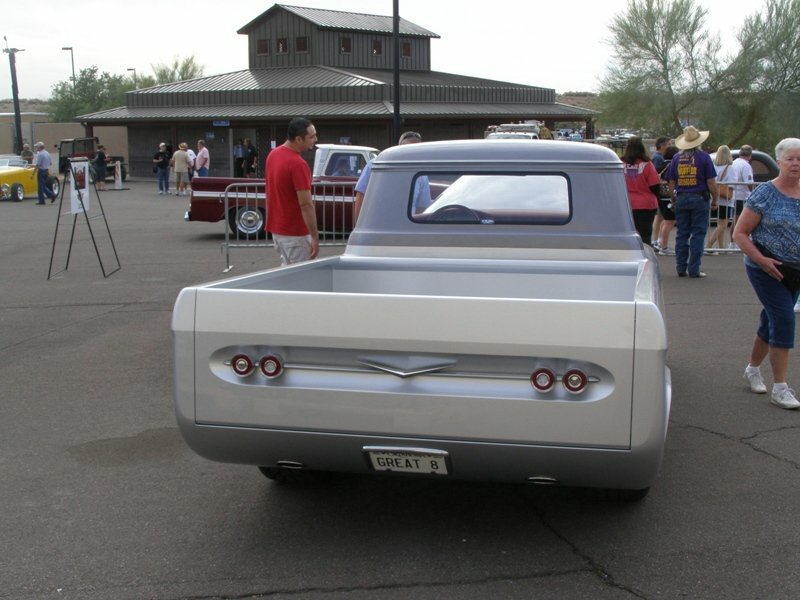 And are doing some more by way of Chevy’s “Build Your Own” program. 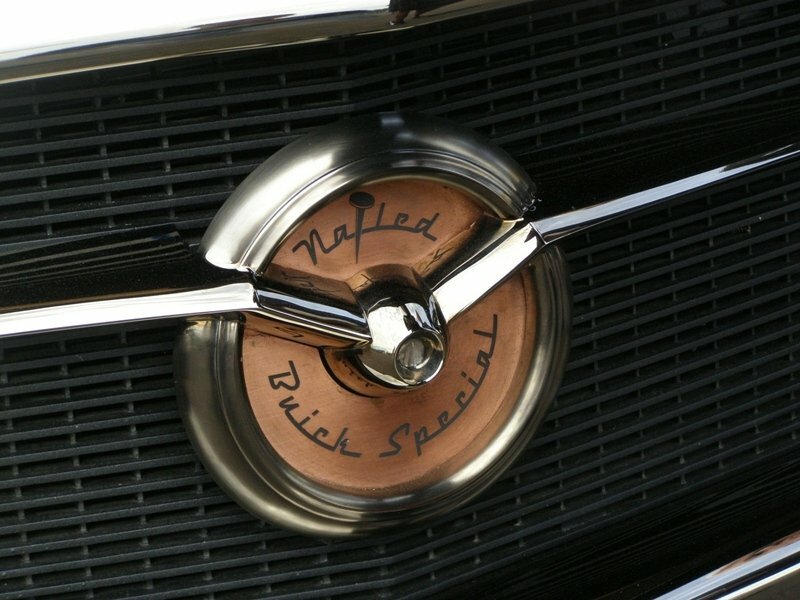 Back in the 60’s, slick dealers could order cars made by Chevrolet in unique configurations using a Central Office Production Order (COPO). 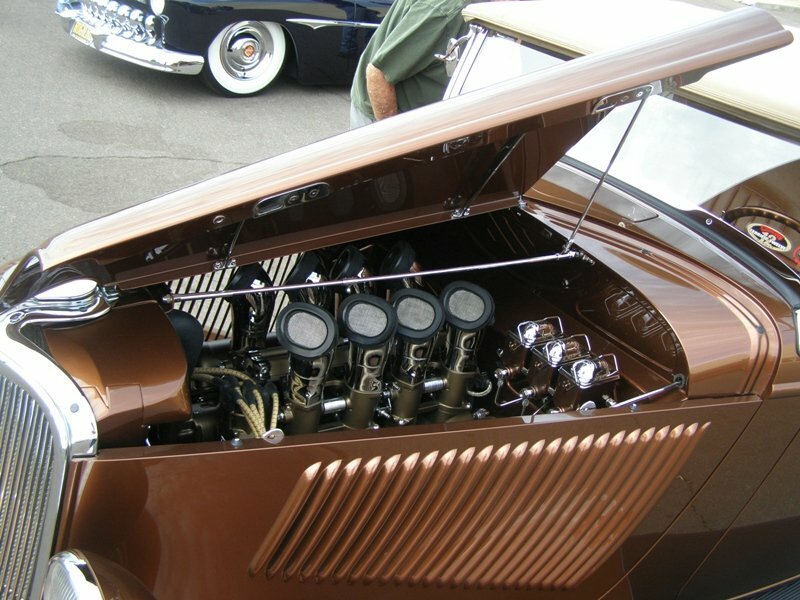 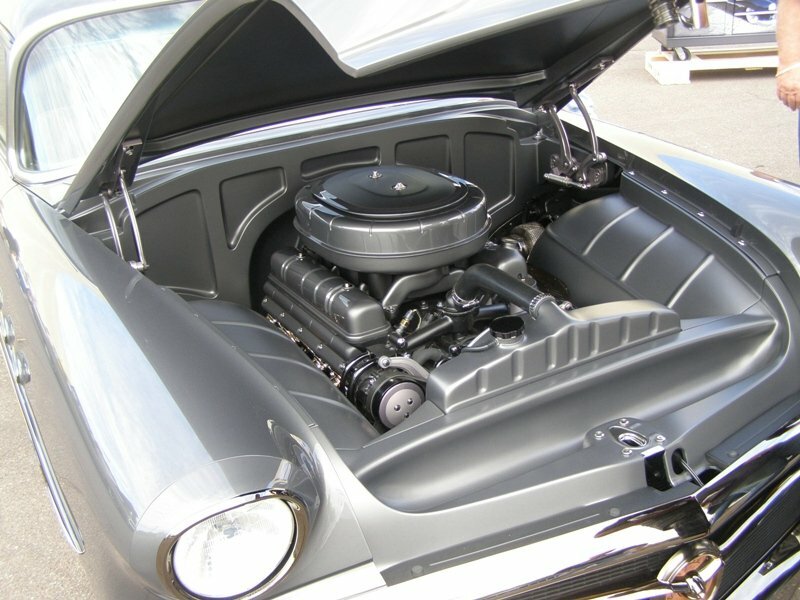 A dealer, Fred Gibb in Illinois, thought making a 69 Camaro with an aluminum 427 ZL1 power plant making 425 horsepower was a great idea. 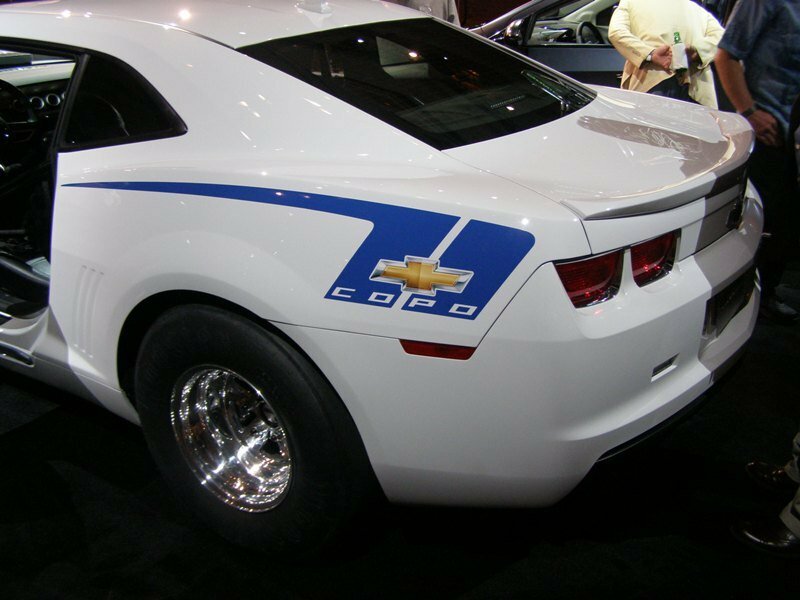 So ultimately he ordered 69 of these fabled cars, with Chevrolet requiring a minimum of fifty to make a COPO. 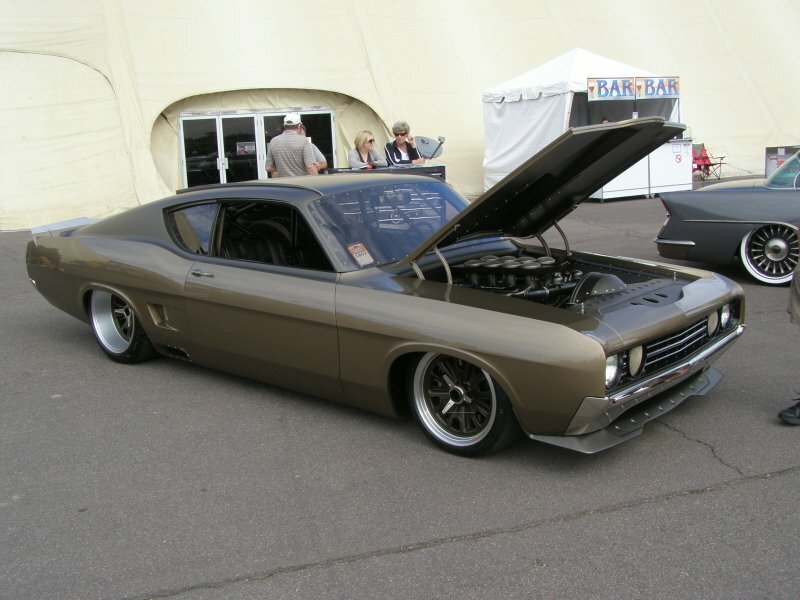 With a price tag of over $7,200 (twice what a stocker cost), Gibb could only sell thirteen at his dealership and he sent the others out through a network of dealers. 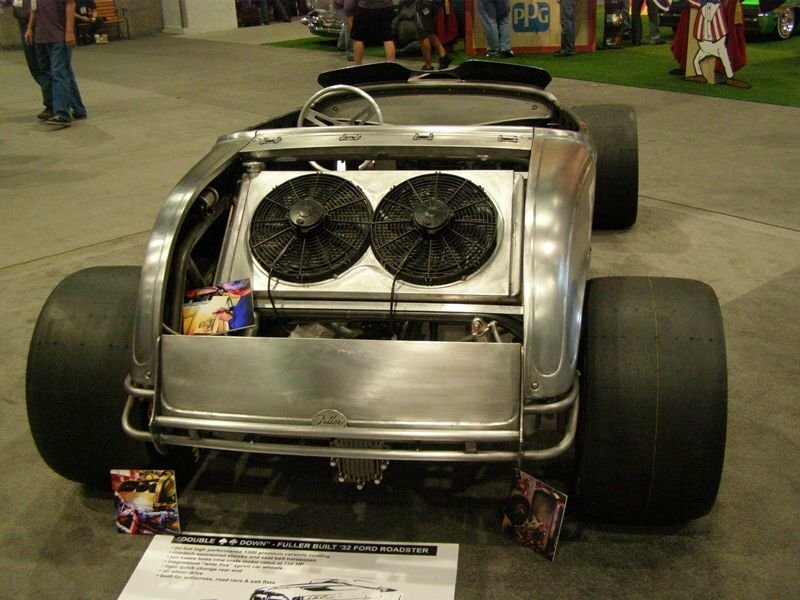 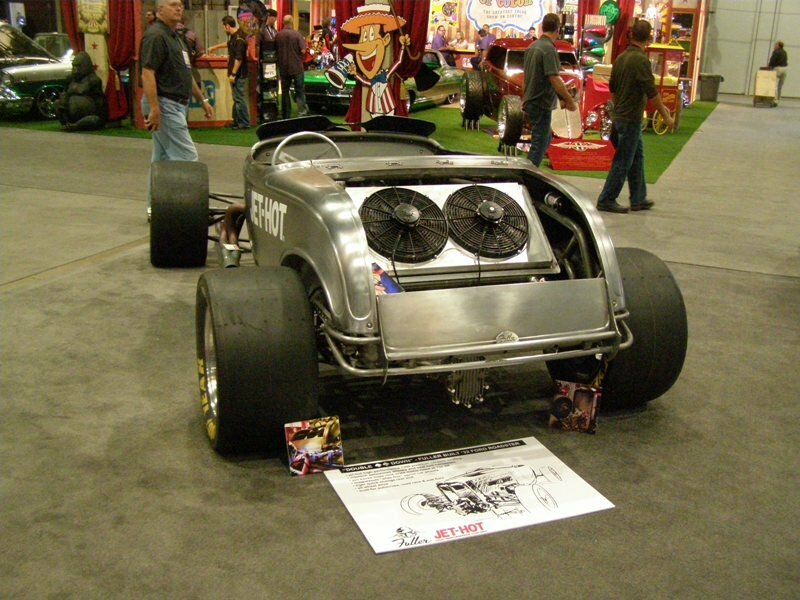 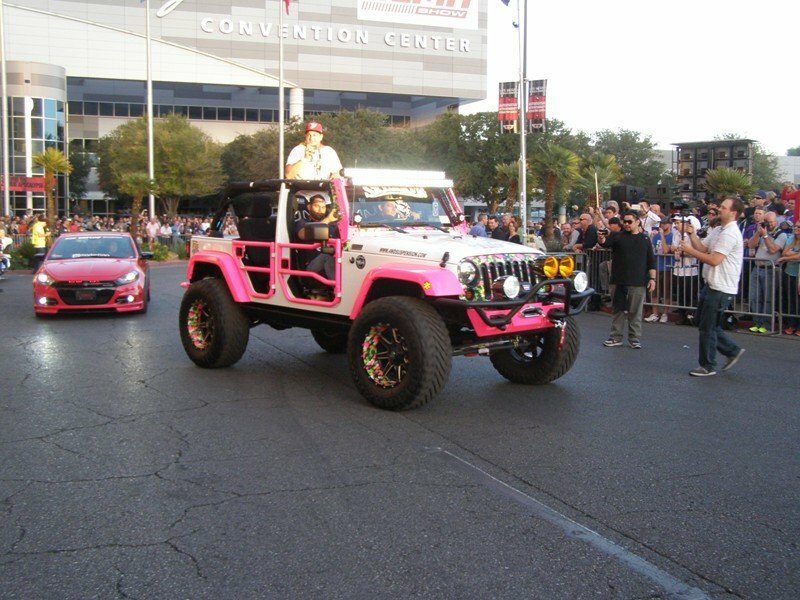 In 2013 it again premiered in SEMA, this time in a unique convertible (which most tracks wouldn’t allow)! 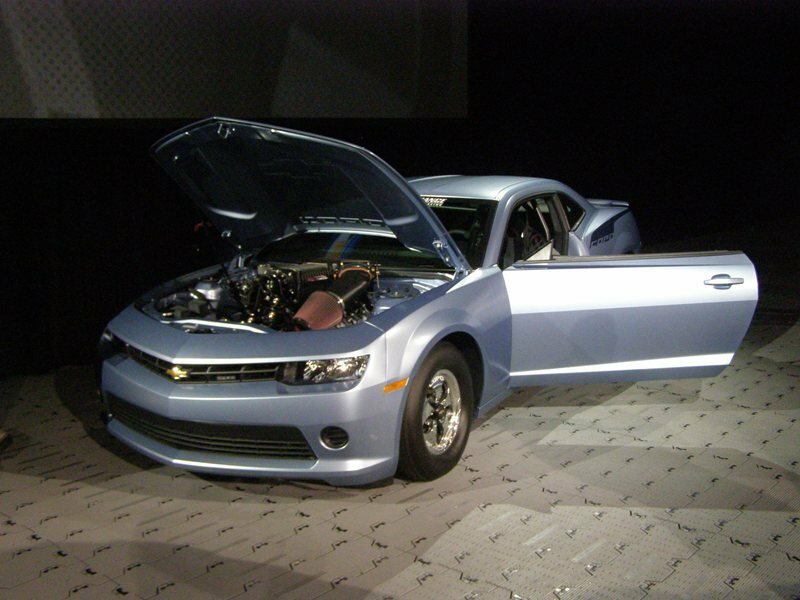 It started at $86,000 and offered again three engine options. 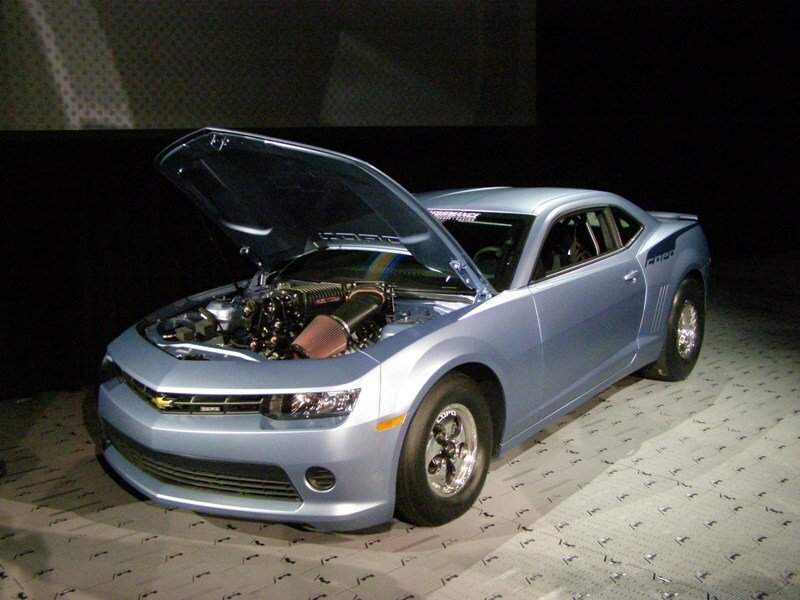 a 352 horsepower V8, a 375 Horsepower 6.5L V8 or a massive 7L V8 making again the 425 horsepower. 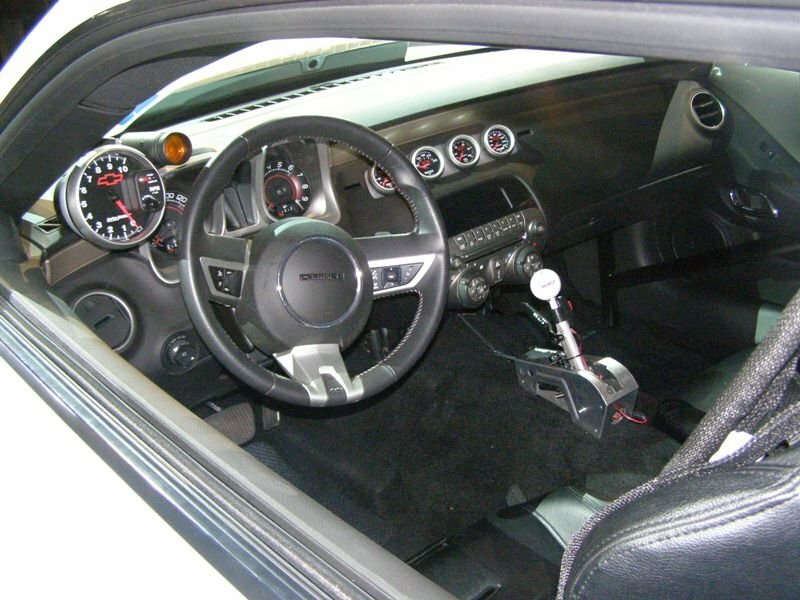 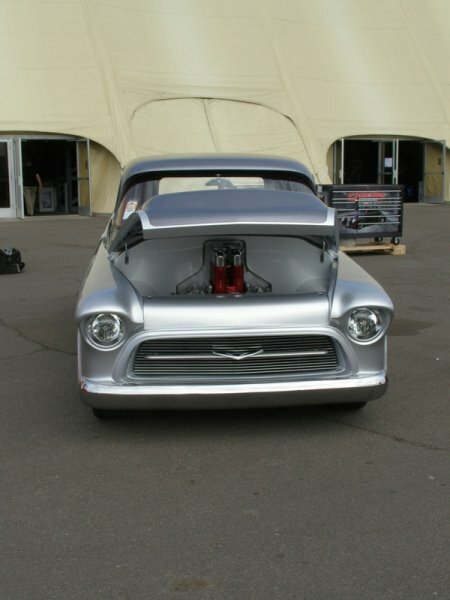 Plus along with the racer’s standard Powerglide it came in a 4 speed manual. 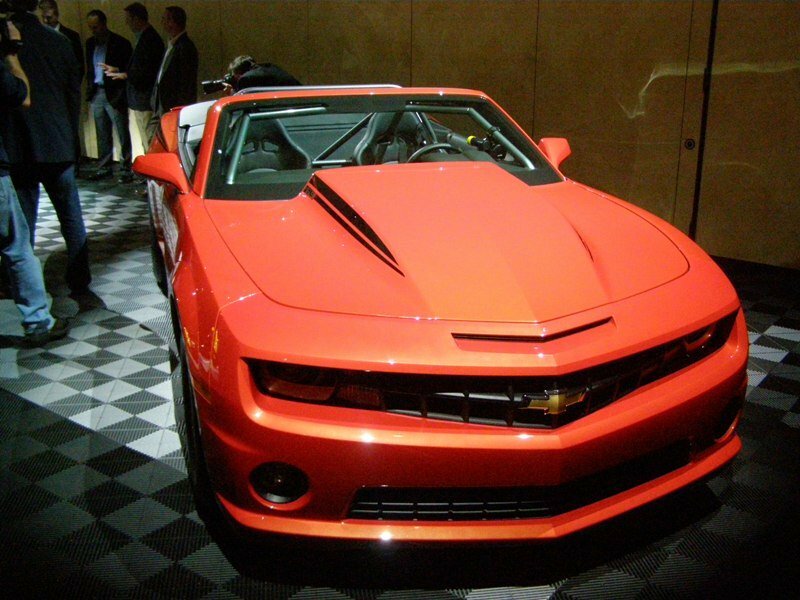 The convertible was later sold at auction with only one other convertible made in 2013. 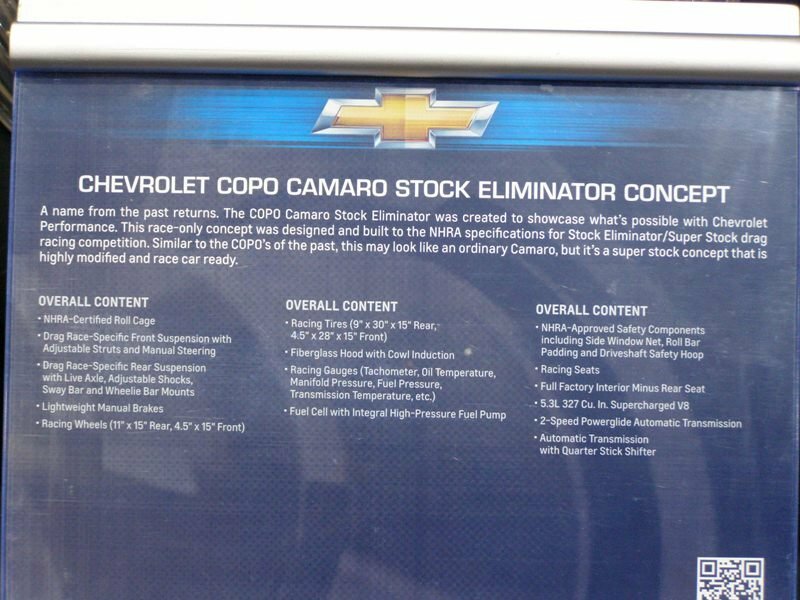 Yet again for 2014, Chevrolet trotted out their COPO at SEMA in a light blue color. 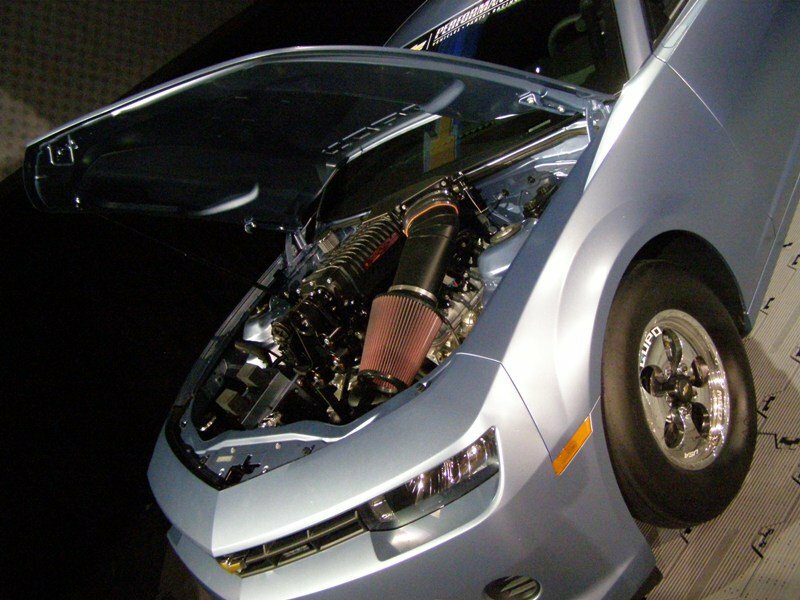 This year, lucky winners can choose from a 427 V8, a 350 V8 with a 2.9L supercharger, or mere V8’s with either a 350 or 396 cubic inch displacement. 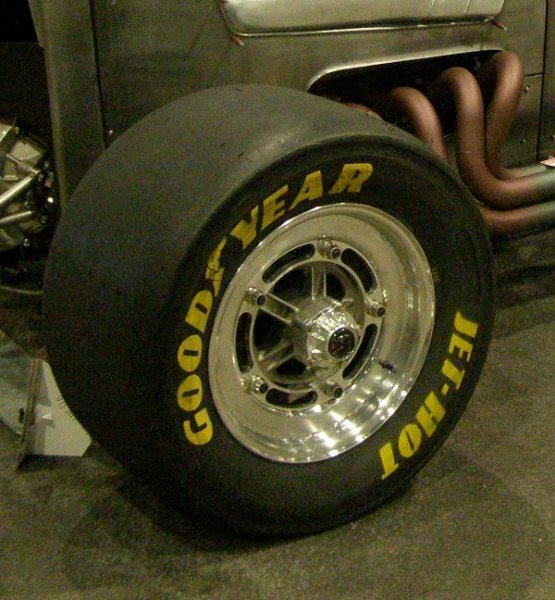 For 2014 a solid rear axle appears in place of the independent rear end. 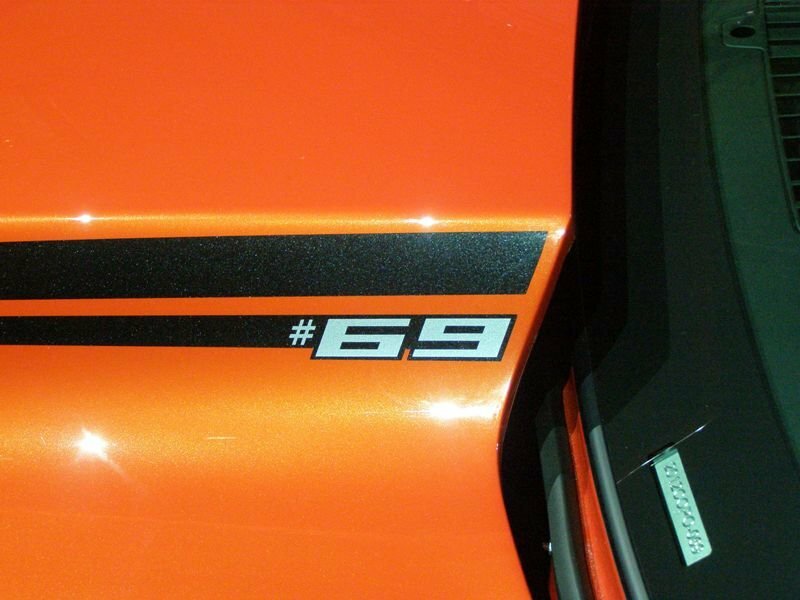 Each year only 69 COPO’s are offered by way of a lottery system. 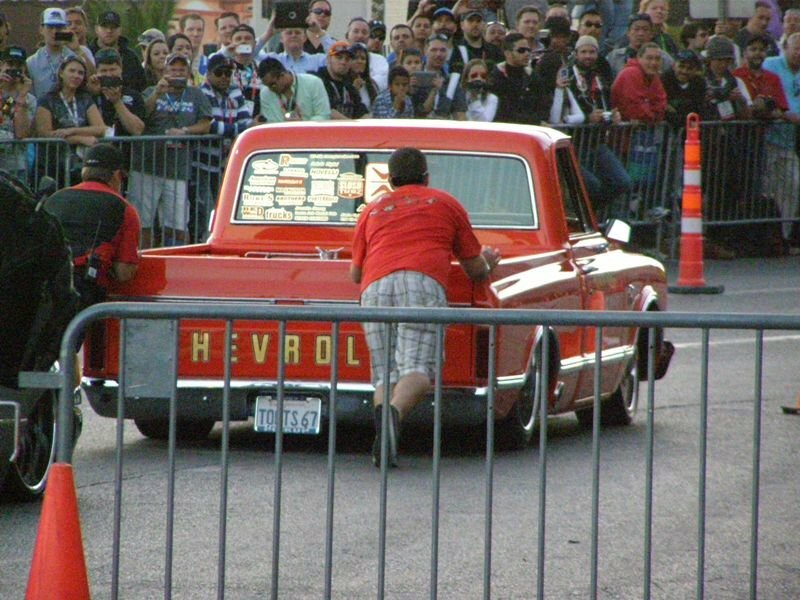 But that is not the only way to get a COPO. 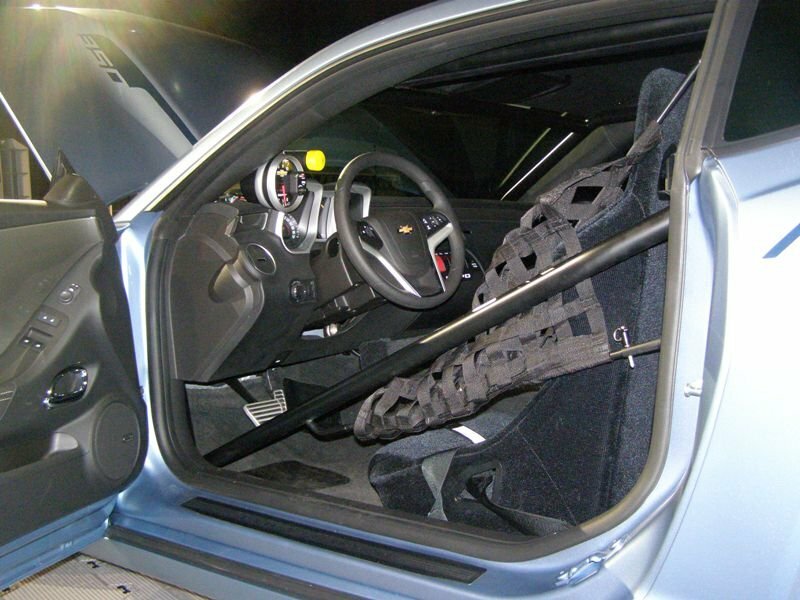 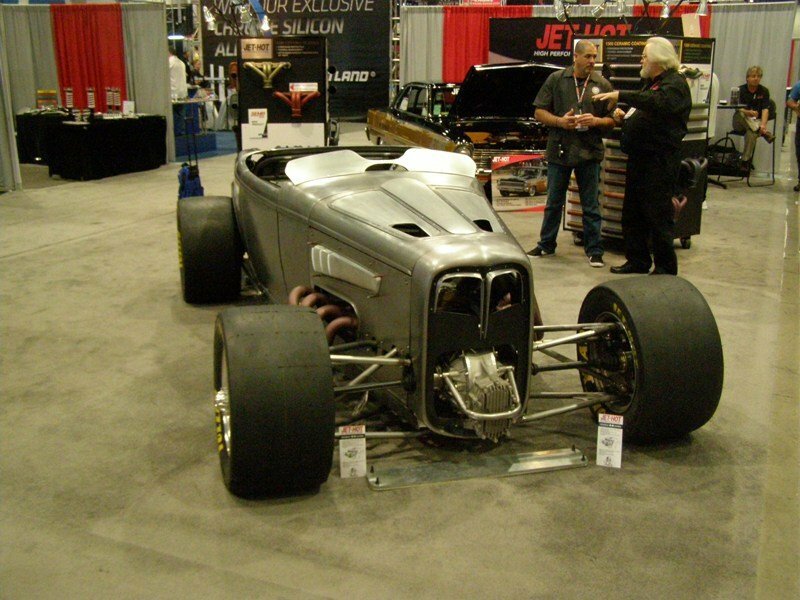 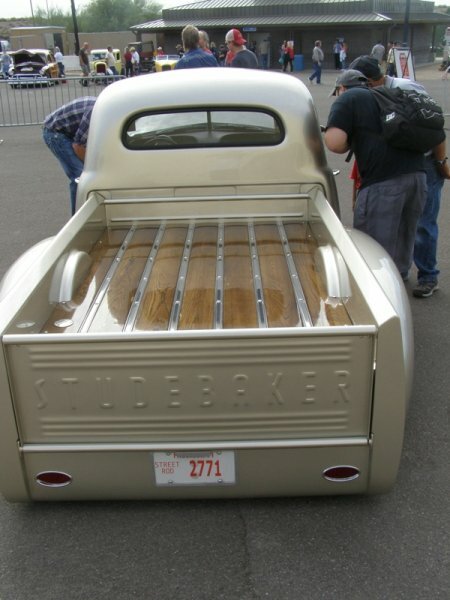 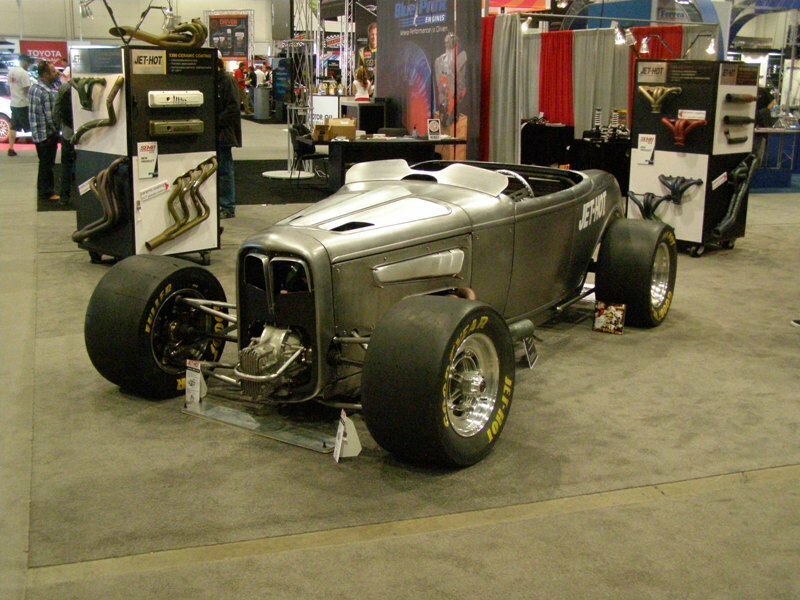 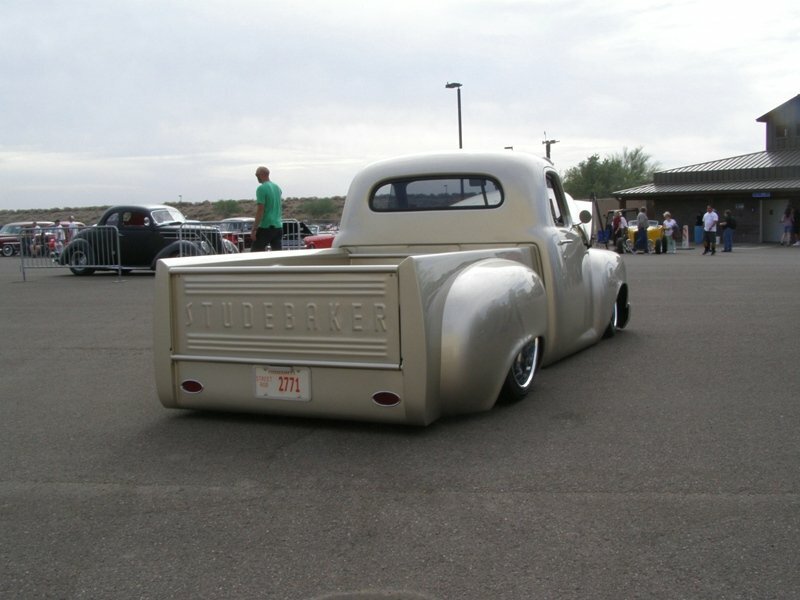 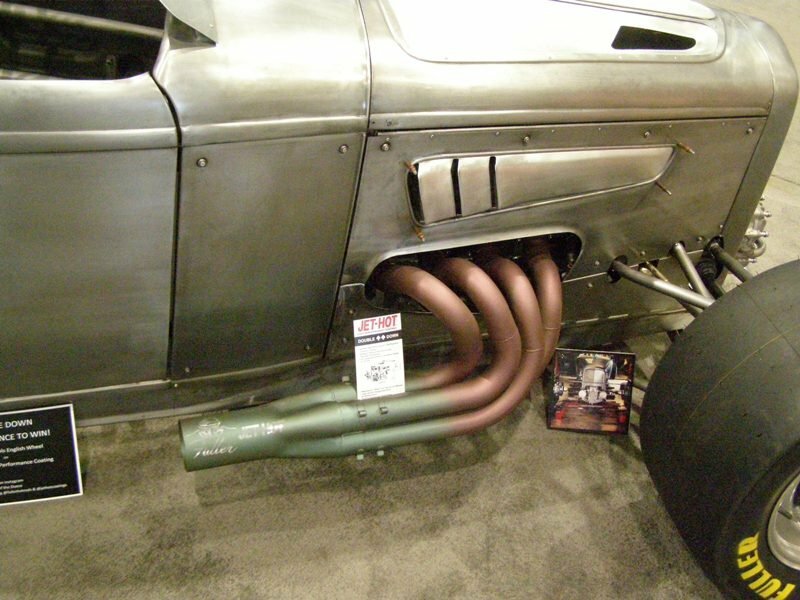 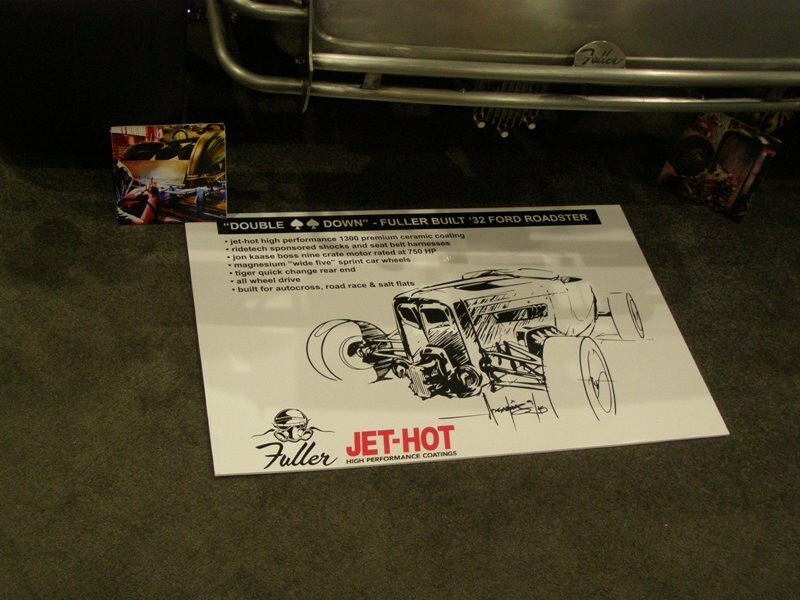 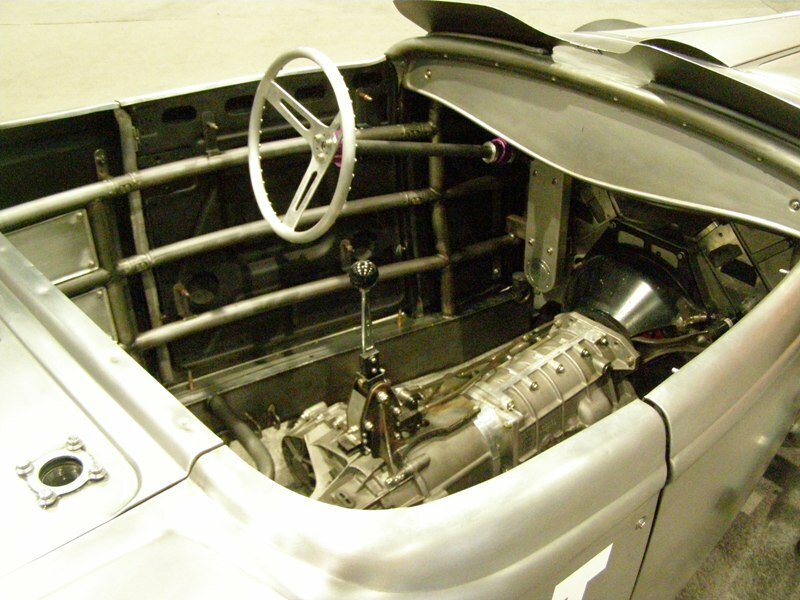 Chevrolet has offered a “Build Your Own” program were you can open a parts book and build up from a rolling chassis. 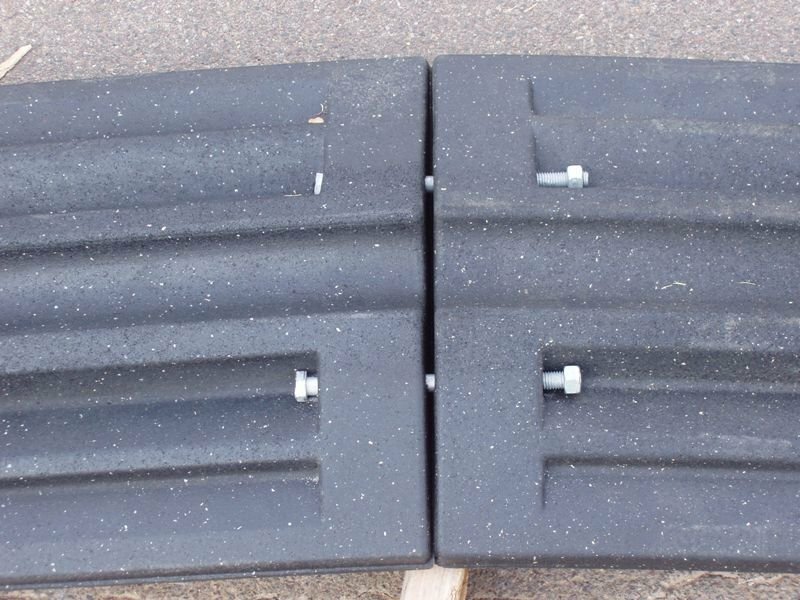 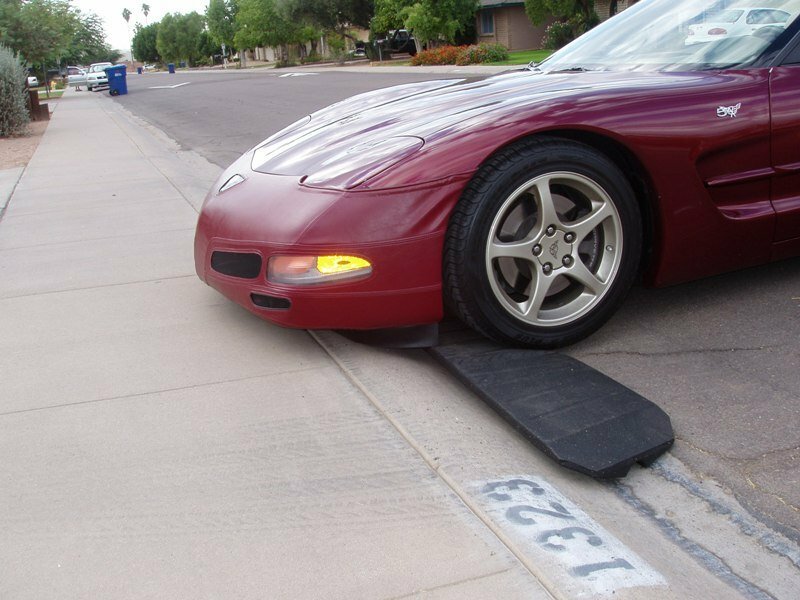 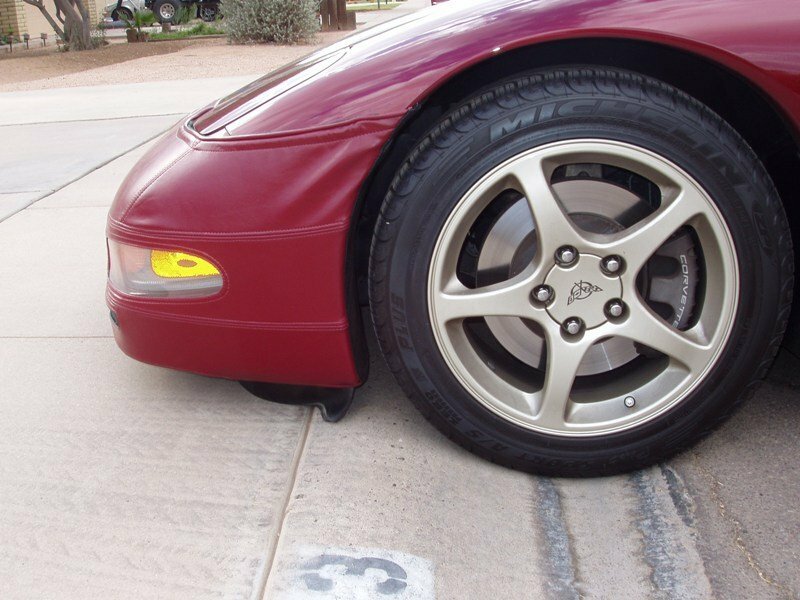 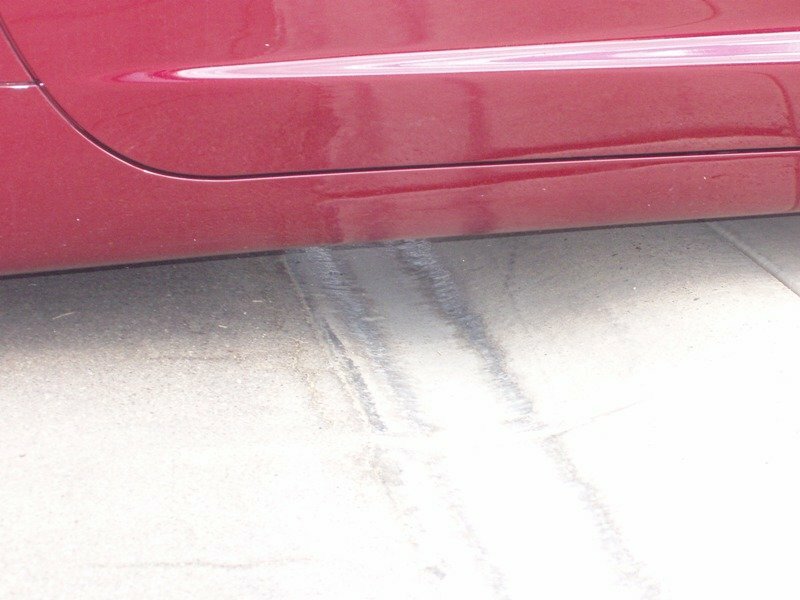 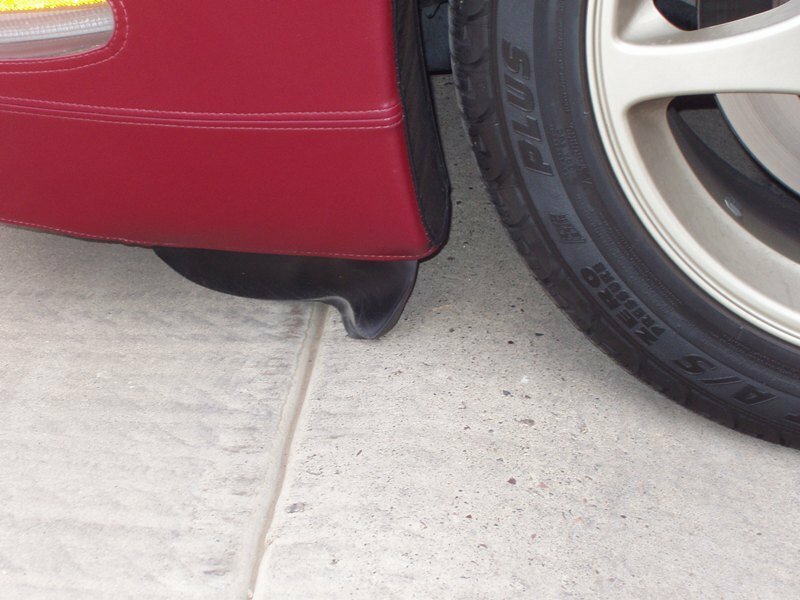 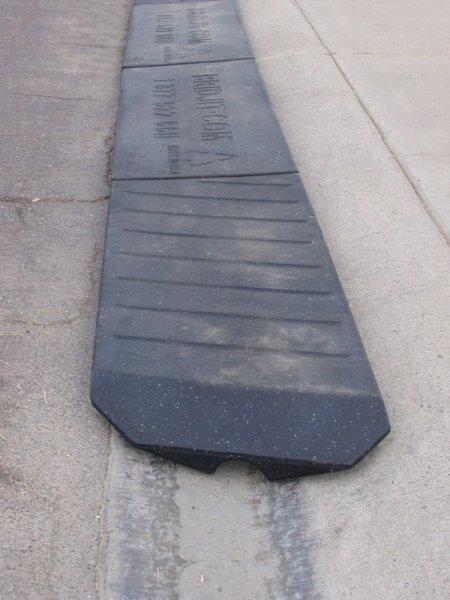 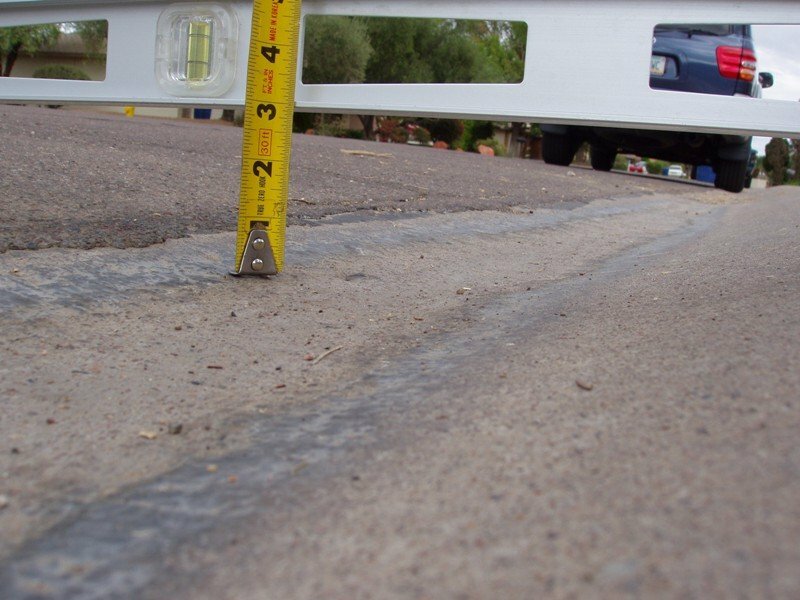 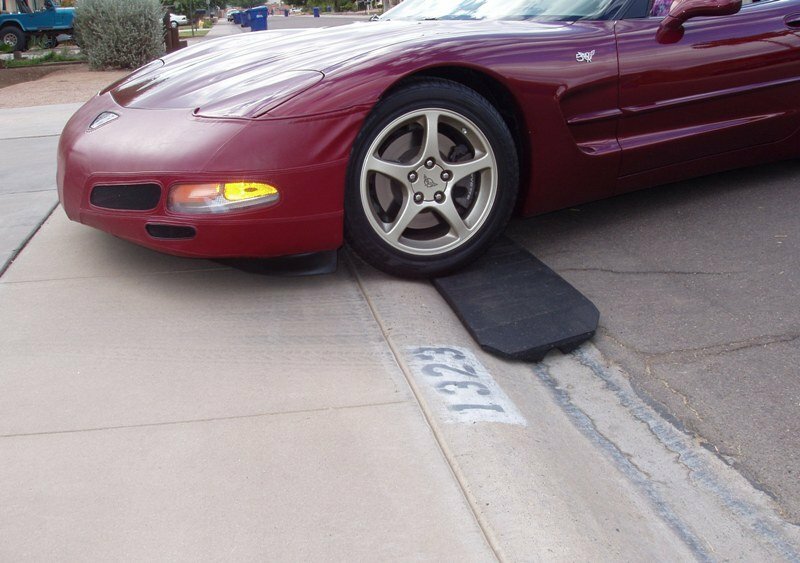 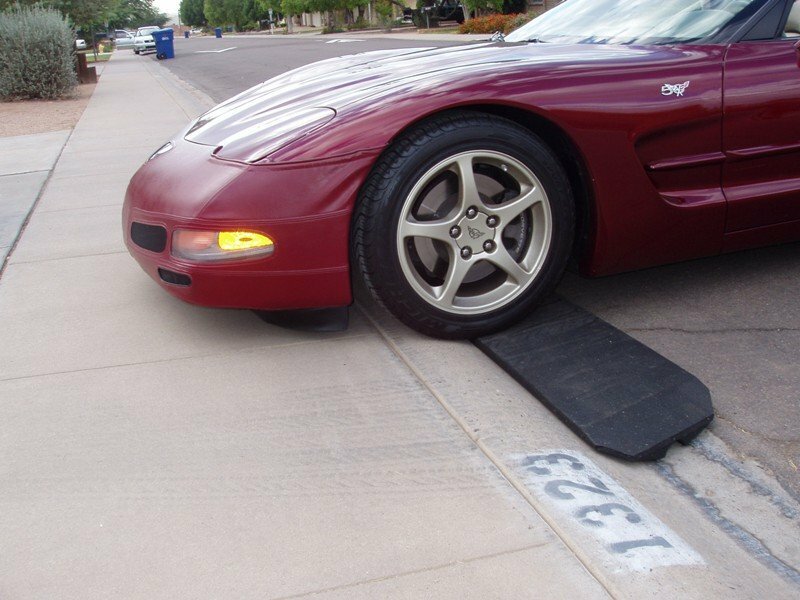 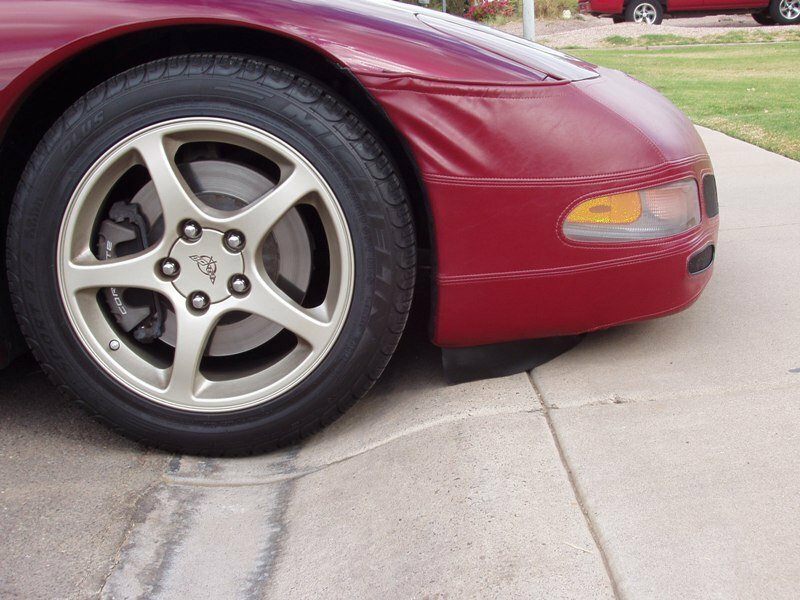 Again these are designed for the strip and lack a VIN and are definitely not “street legal”. 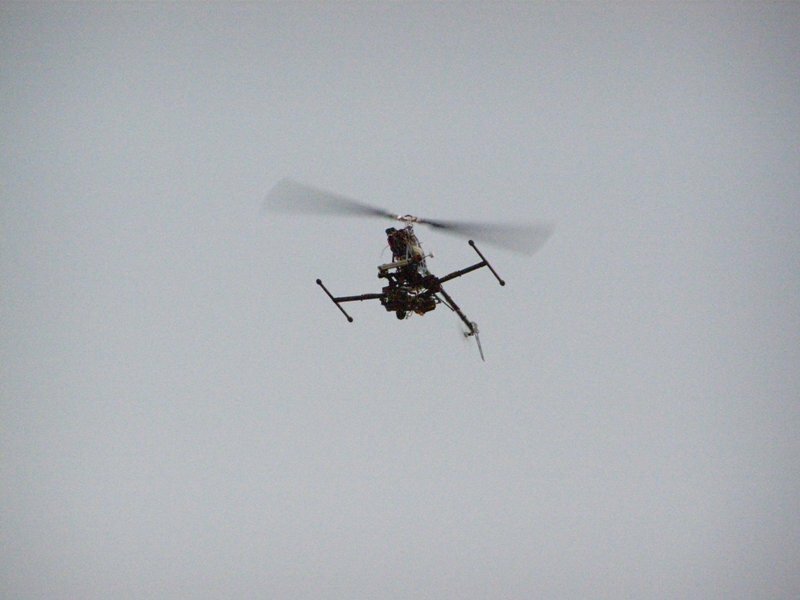 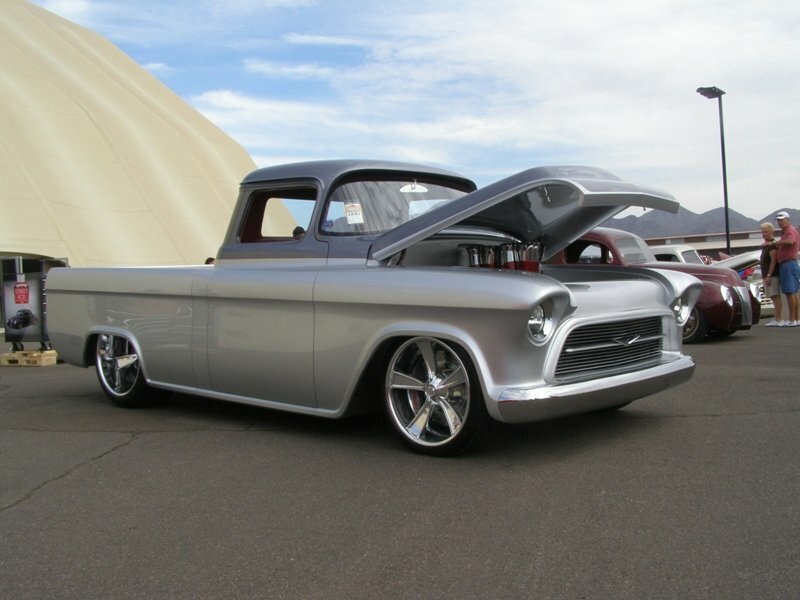 For 2013 they were offered at a starting price of $55,000. 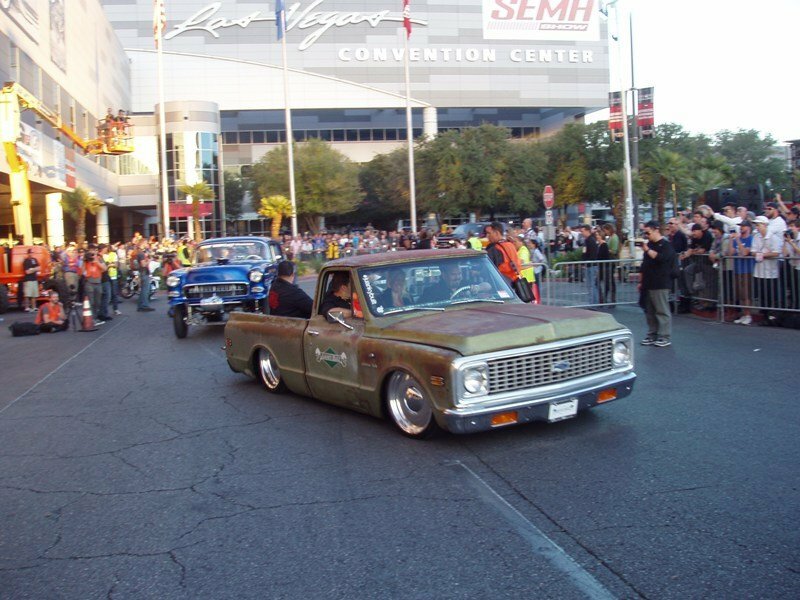 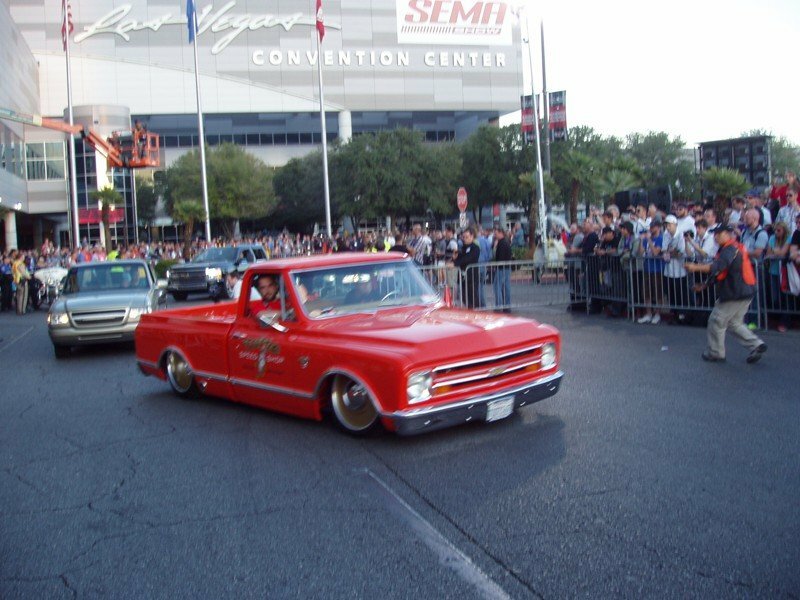 For the past three years, at the end of the SEMA (Specialty Equipment Market Association) Show on Friday, some of the cars on display drive out of the show onto the surrounding street in front of the Las Vegas Convention Center.Â It has become known as “The Cruise” and has become very popular, even amongst weary, dog tired show goers. 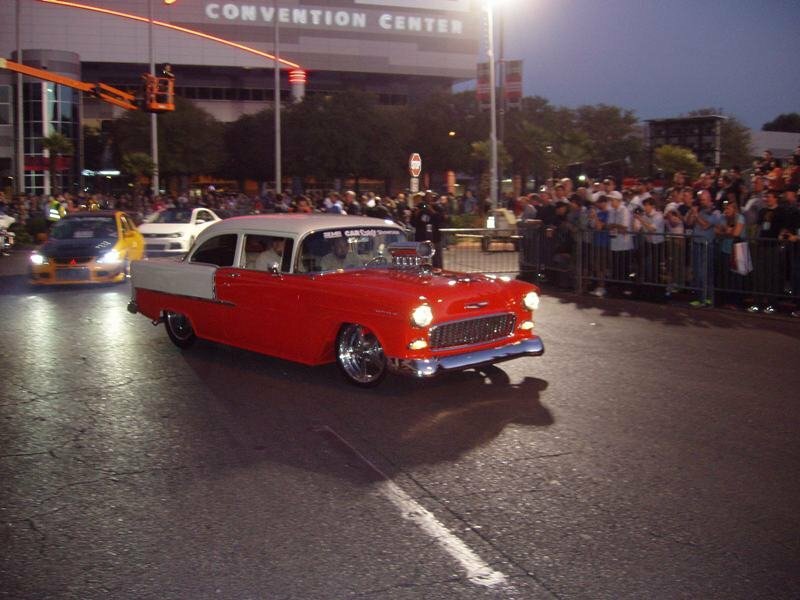 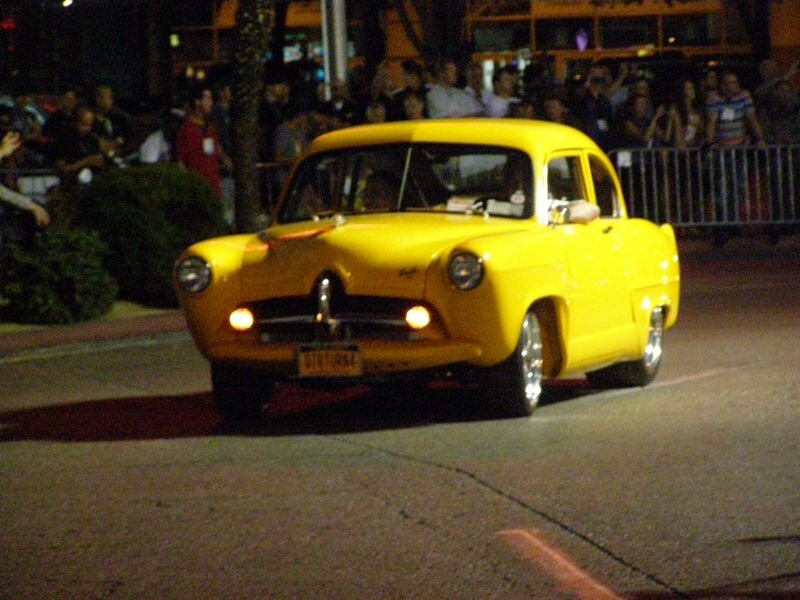 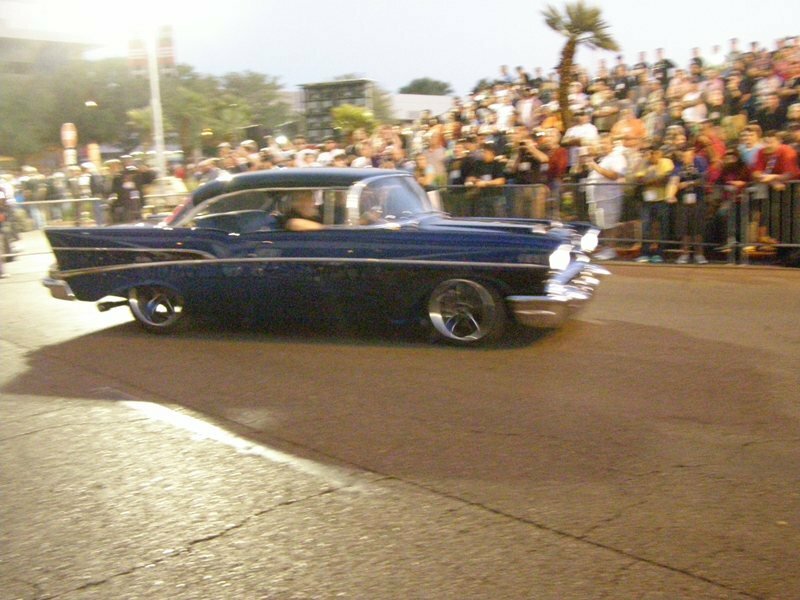 In fact, the cruise started years earlier as an unofficial event.Â After the show closed on Friday afternoon, some cars would drive off to get to their trailers and either get locked up for the night or head back home.Â So locals and attendees would camp out along the drive ways and watch some of the cars drive away. 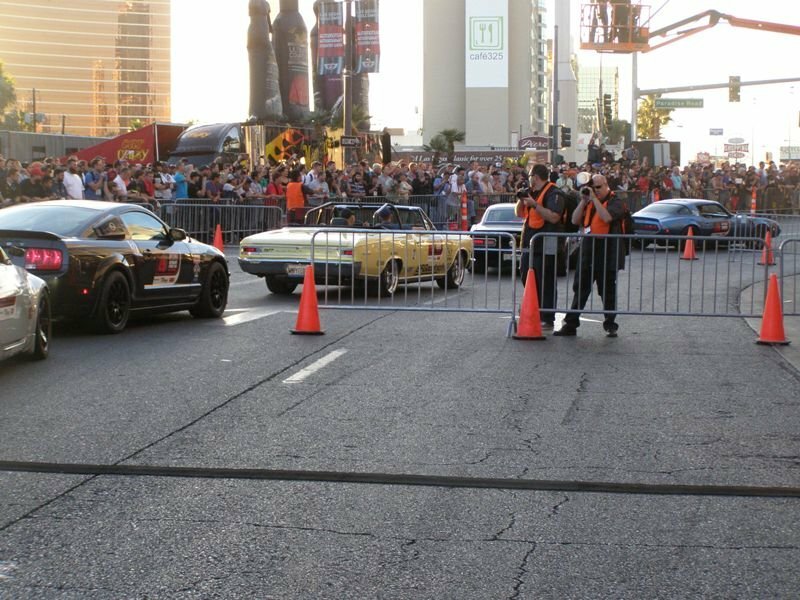 You can admire the individual cars and appreciate a static display of cars, but nothing beats seeing them now drive off, under power, lights on and with exhaust bellowing. 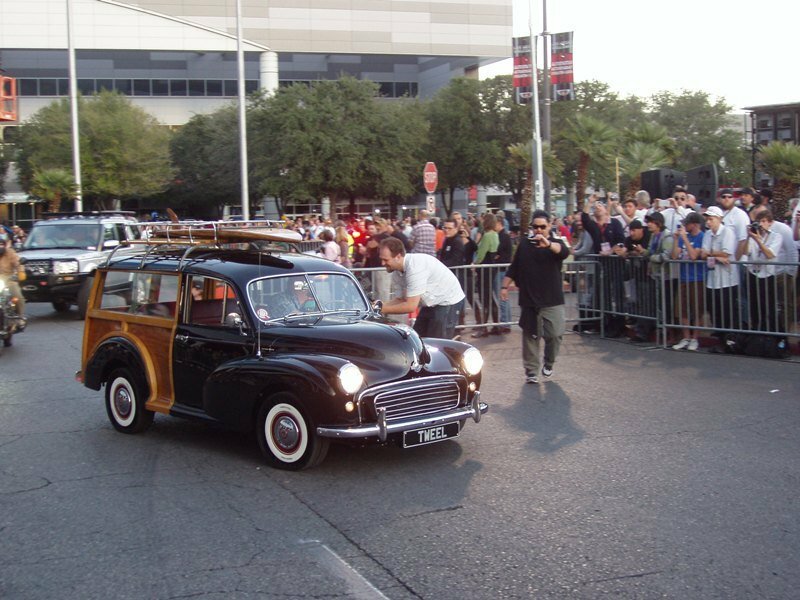 The Cruise just sanctioned this drive off and became a recognized, official event.Â Early Friday afternoon, before the show closes at 4 PM, portable bleachers are maneuvered into position along a driveway that had been the point of access for the taxi’s.Â The stands fill up hours before the cruise starts and the actual driveway gets lined with interested folks as well. 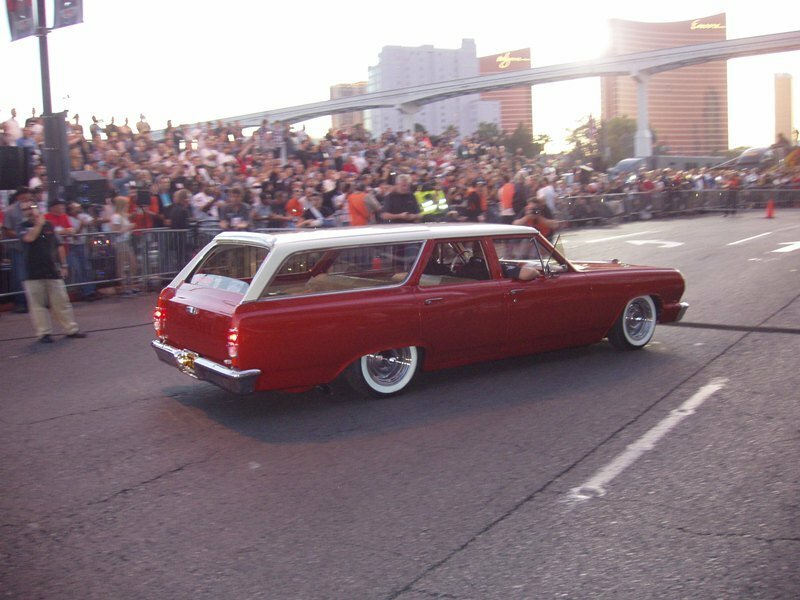 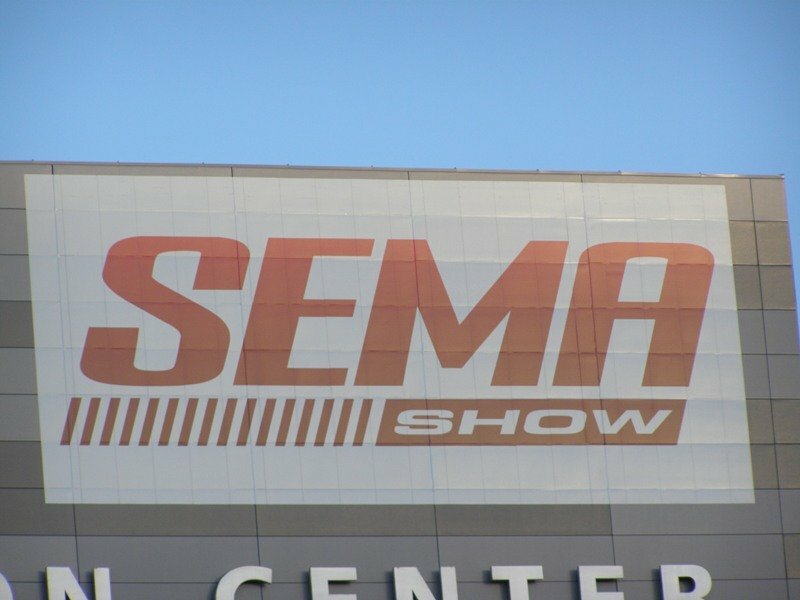 This year SEMA had an emcee and a DJ spinning some tunes.Â Because it gets dark early in Las Vegas, SEMA even arranges for some portable lights so the cars can be easily seen. 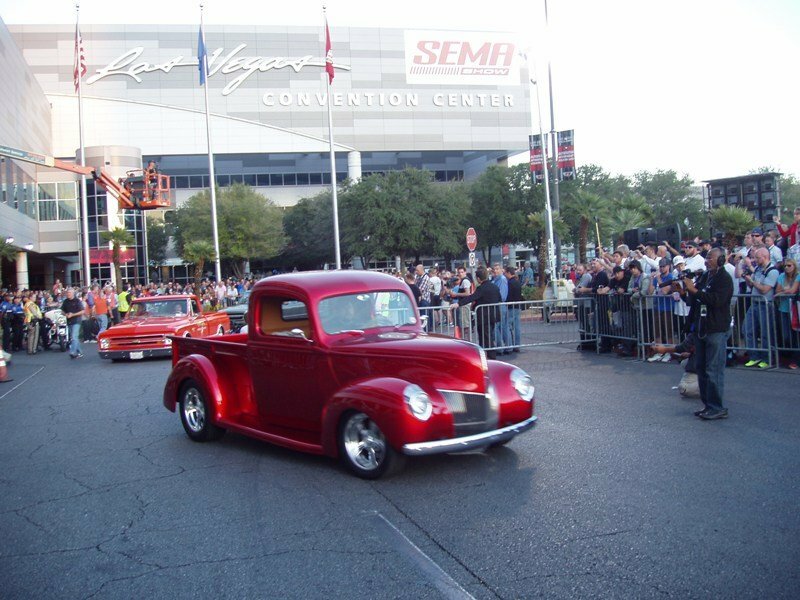 Of course, the stars of The Cruise are the cars.Â Now most of these cars have already been parked outside of the convention center and on display all week long.Â But nothing takes the place of seeing the cars actually start up and drive off.Â We saw the WyoTech Ford truck/roadster, that we had previously highlighted, make a pass through the crowd after maneuvering out of the indoor display hall. 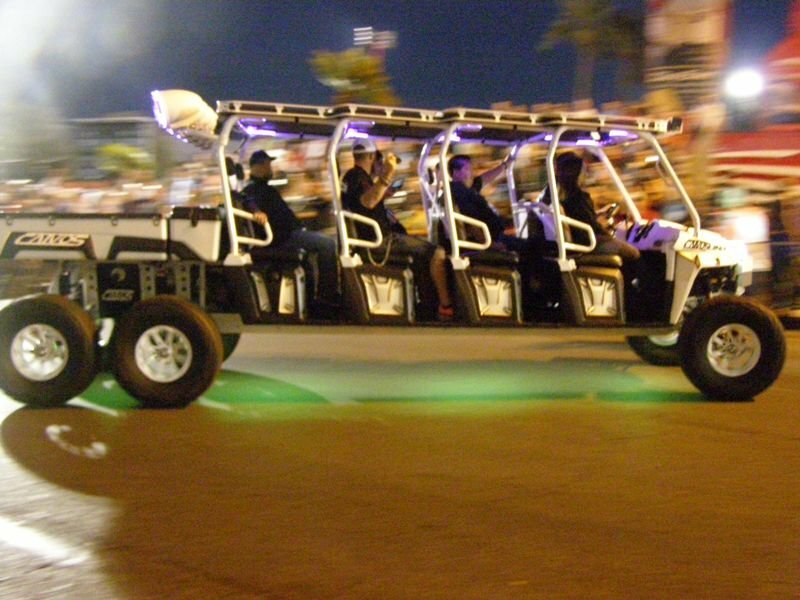 I never had seen so many LED’s on some of the 4X4’s and they were all blindingly lit.Â The cars were often packed with more than just the driver, so their friends could enjoy the experience.Â And of course many vehicles had more than one camera attached to their car, probably to help make a video for YouTube?Â There was even a drone flying overhead. 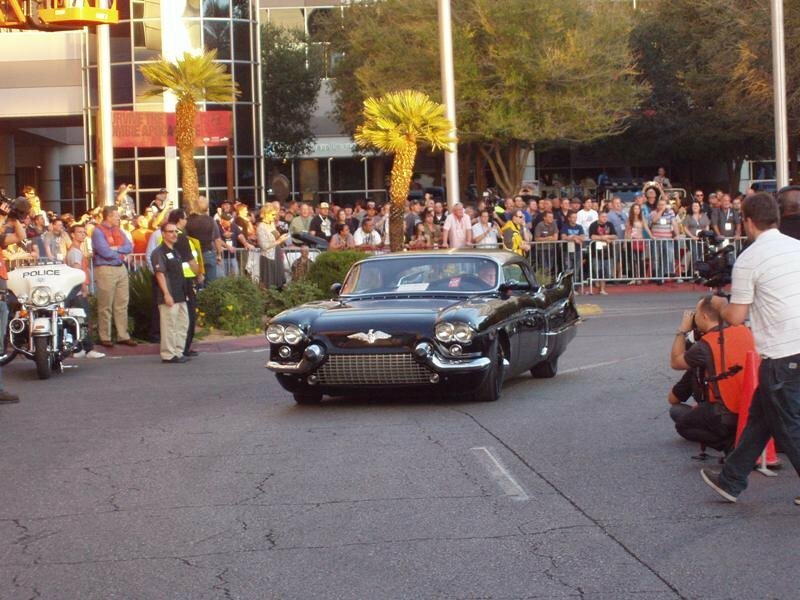 Many media folks were there including our friends from Hot Rod magazine.Â It was refreshing to see so many gear heads come out to see the cars cruise, and great to see so many owners take their cars on the road!Â Even the French builder of the 57 Bel Air themed Harley Davidson motorcycle drove out.Â This is a great way for SEMA to wrap up the week and was one of our highlights. 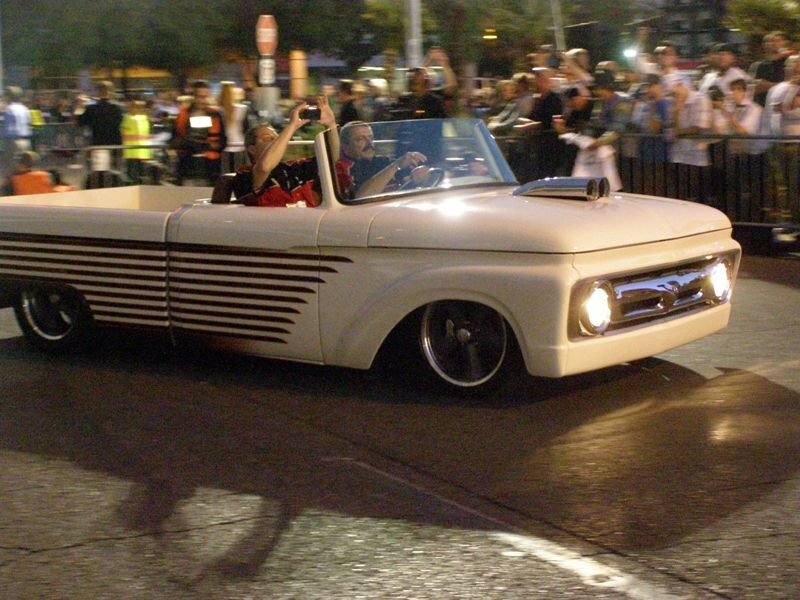 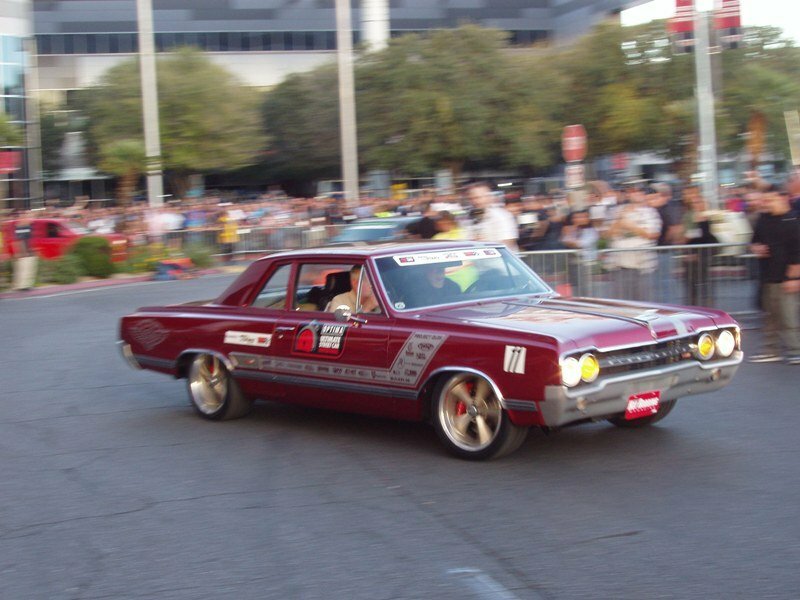 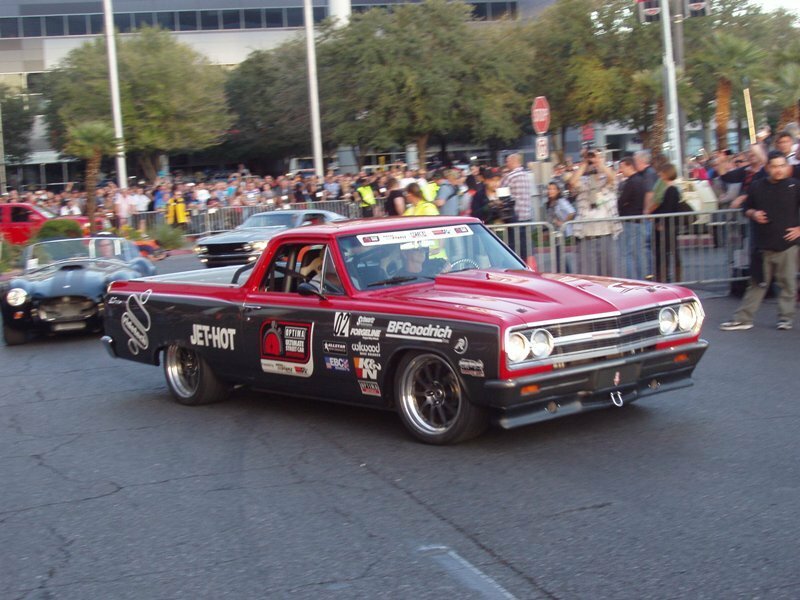 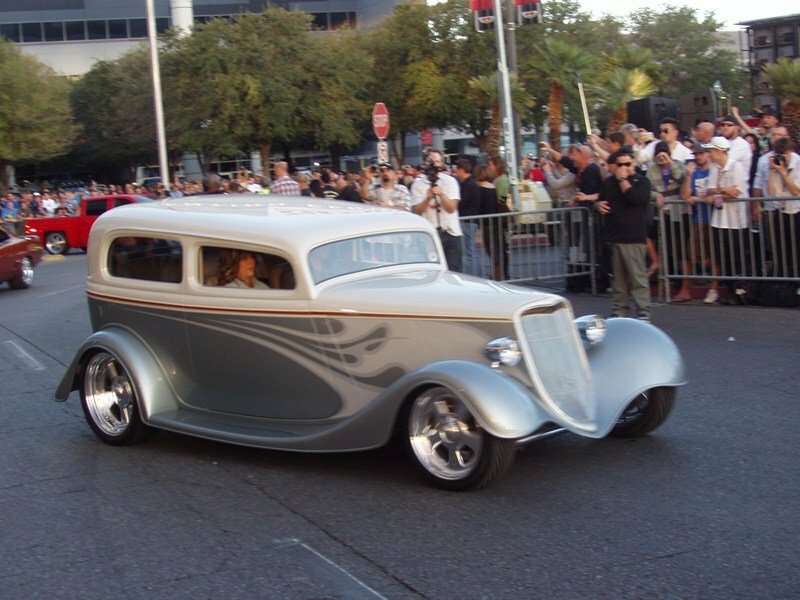 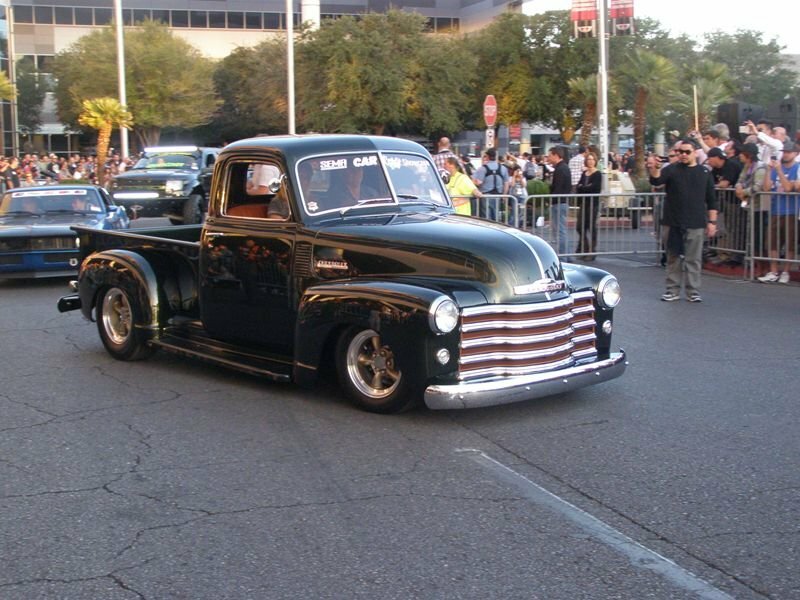 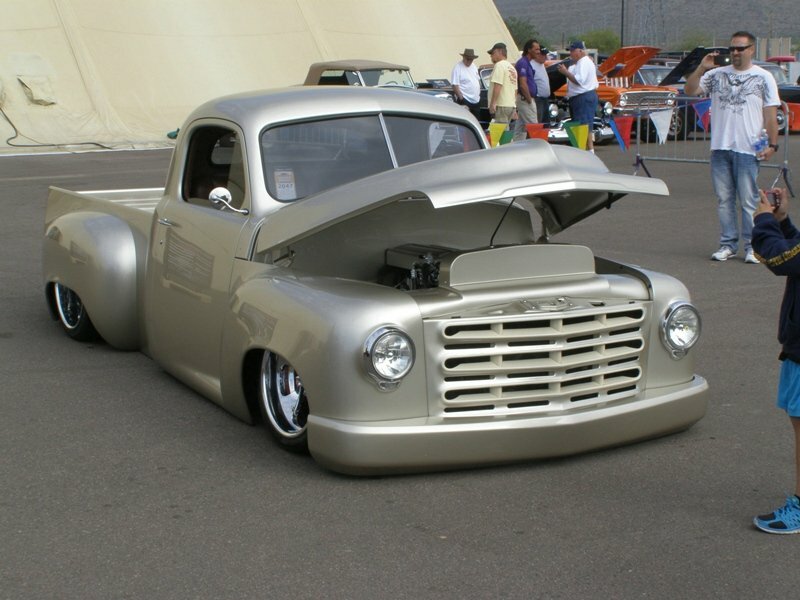 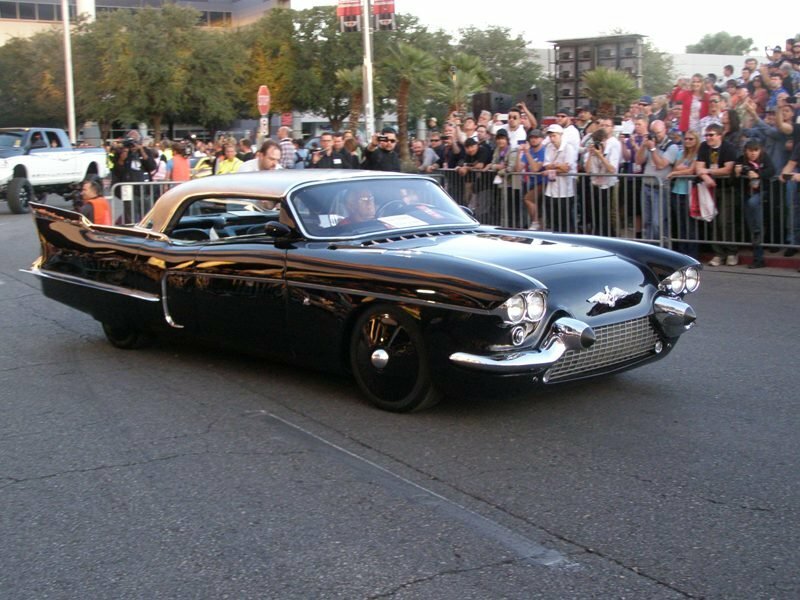 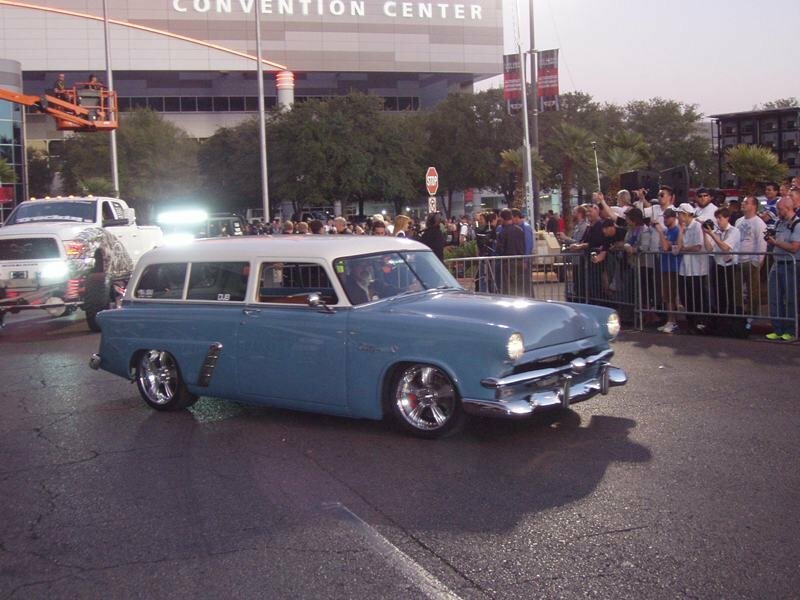 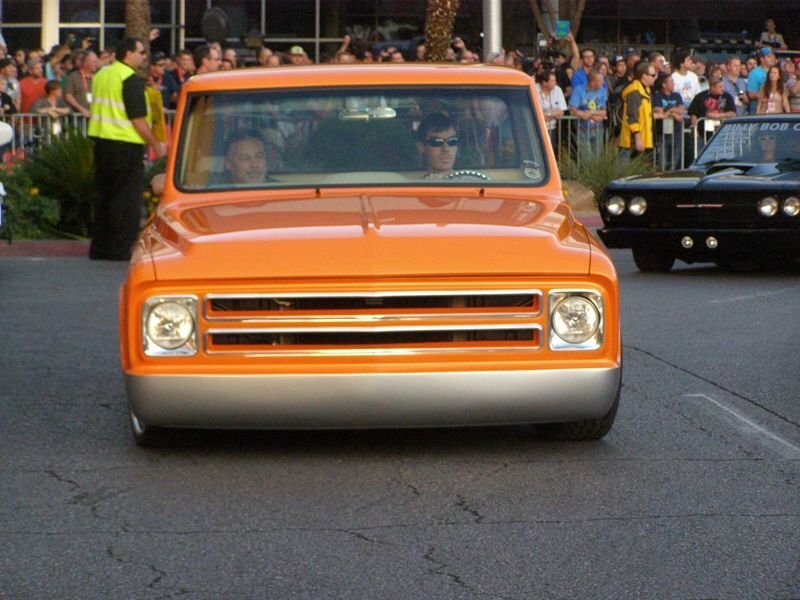 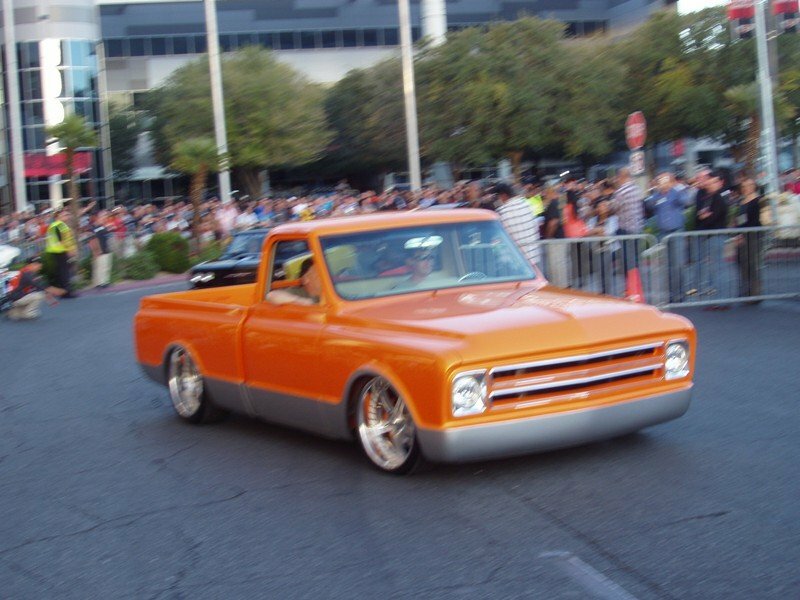 Enjoy some of our selected shots from the SEMA Cruise.Â Which is your favorite? 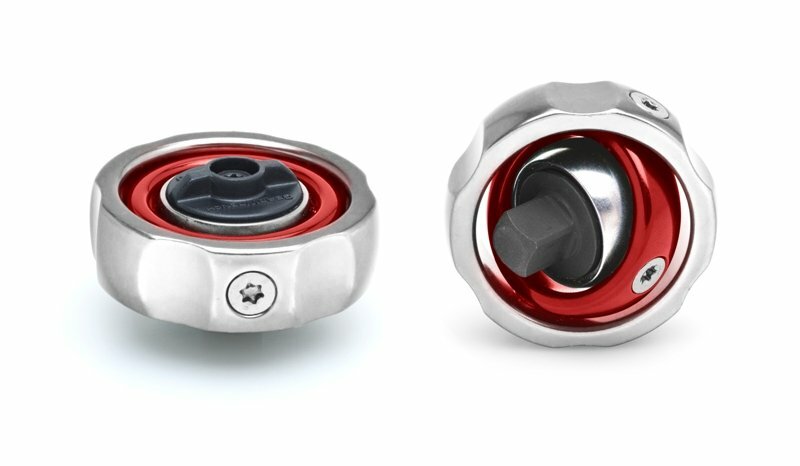 This ratchet is great for tight spots and shows someone was thinking at GearWrench.Â The tool comes in either the 1/4″ or 3/8″ drive and would be great for low torque, tight situations.Â It fits great in the hand and is sturdy, but still lightweight. 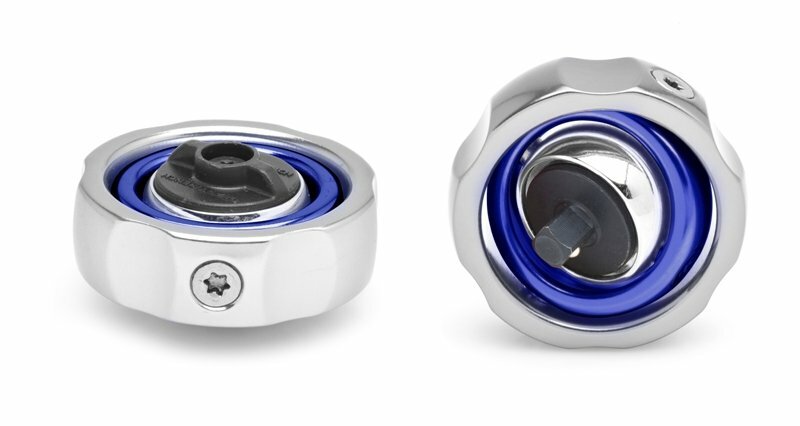 This ratchet will be coming out in the beginning of 2014 and I figure it’ll price out at around $20.Â Their website even suggests earlier delivery if you need a hint for the holidays!Â Tell us what you think and if it made your wish list. 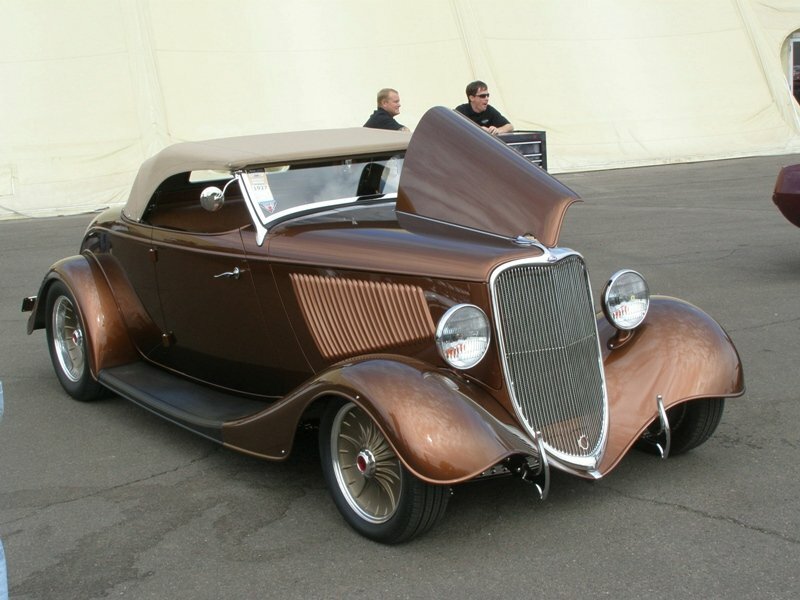 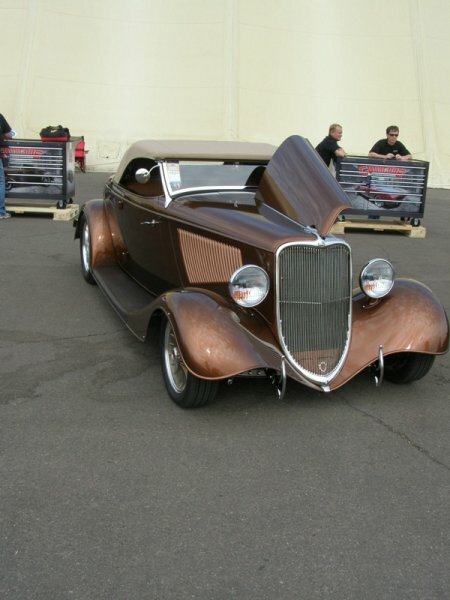 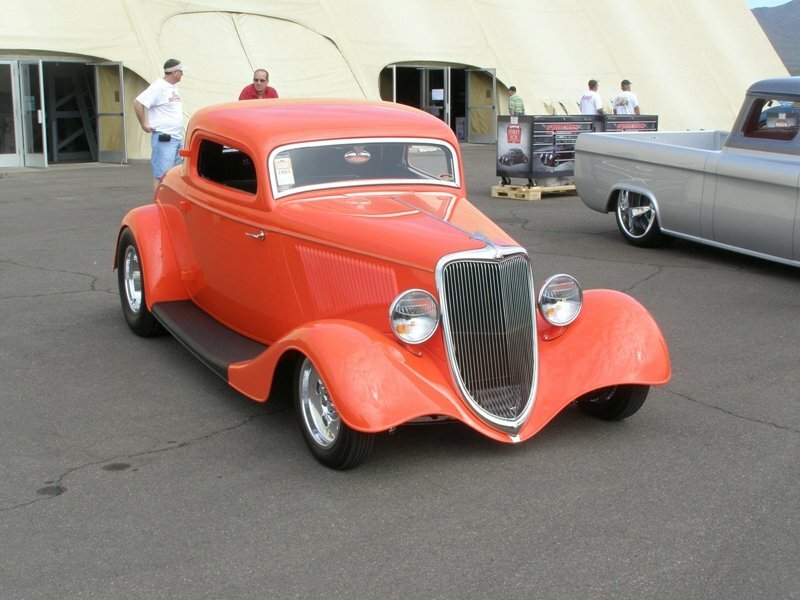 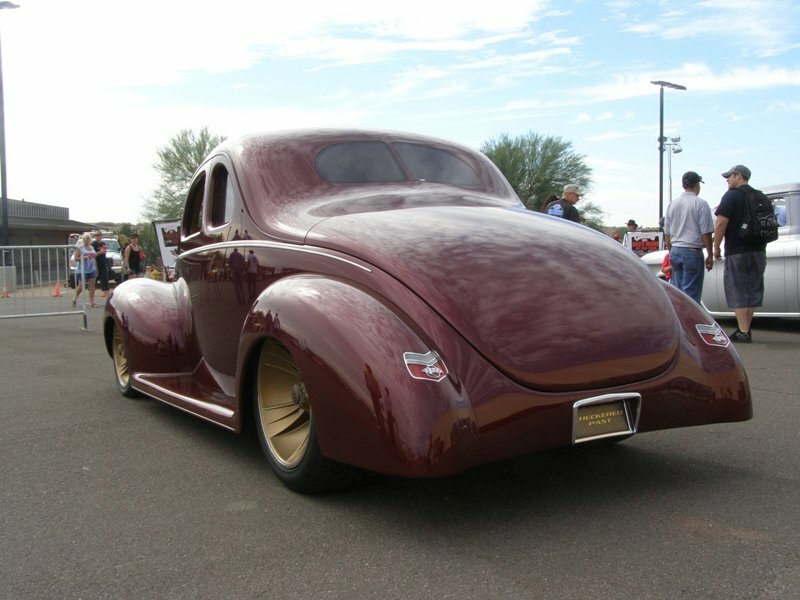 This past weekend, at the Goodguy’s 16th Southwest Nationals car show held in Scottsdale, Arizona attendees had the chance to see all the Goodguy’s Terrific 12 Award winners displayed together in one space. 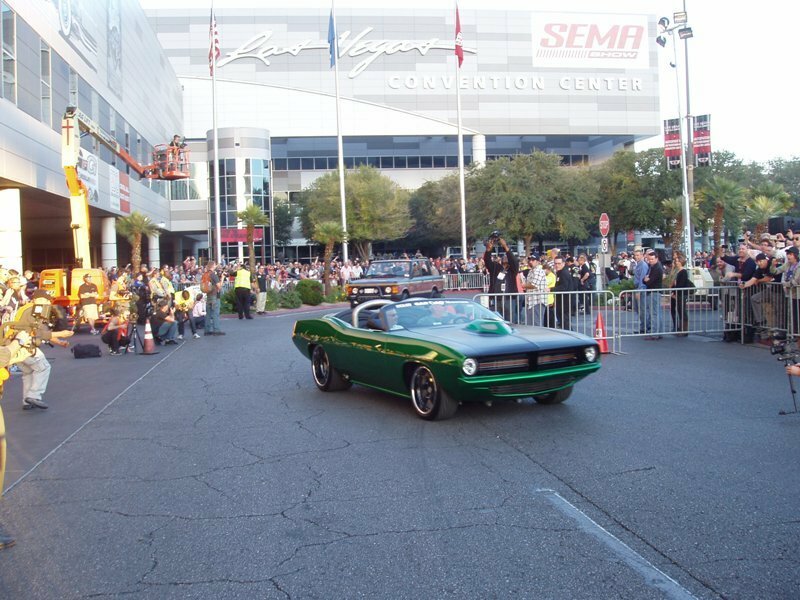 This year the Goodguy’s AutoCrosser of the year was determined after Saturdayâ€™s AutoCross Finals Shootout.Â Â All 11 of the other finalists were already on display for Friday and Saturday.Â Some of the Terrific 12 were seen at earlier Goodguy’s events, other car shows and even at the recent SEMA Show.Â But this is the one chance each year to see all the cars at one time. 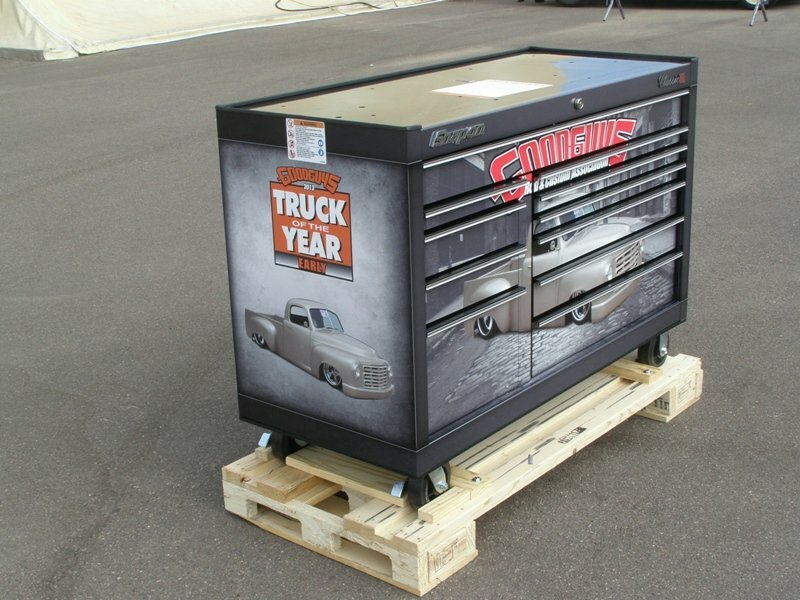 Adding to the uniqueness of the exhibit, will be each winnerâ€™s custom toolbox from Snap-on. 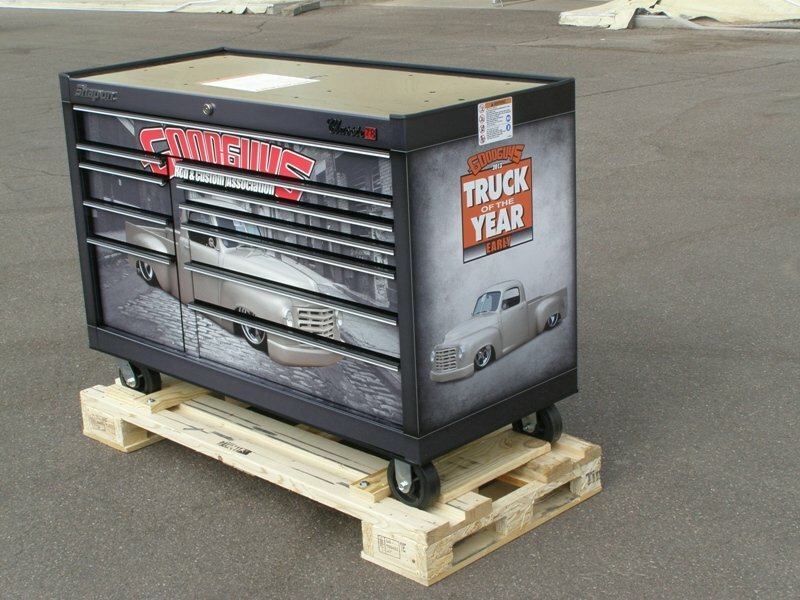 Each winner receives their large toolbox in Scottsdale, wrapped with pictures of their ride to display alongside their car of the year. 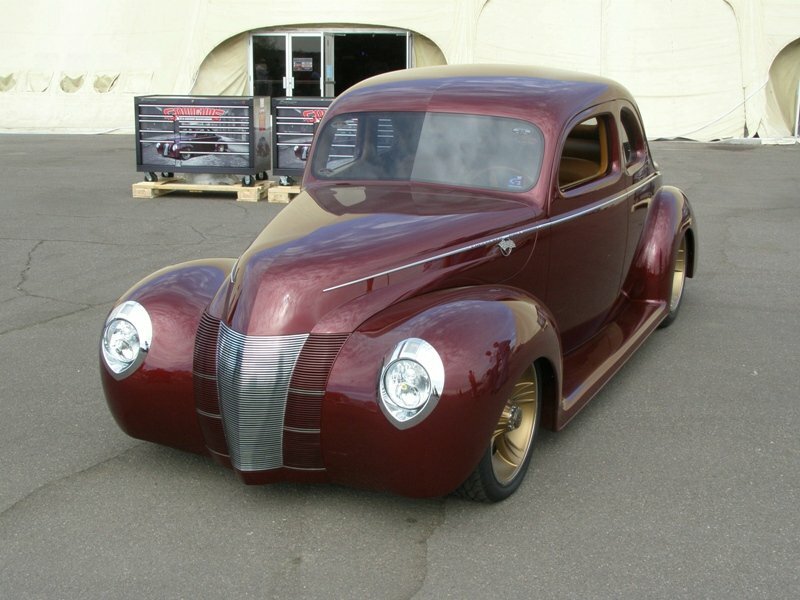 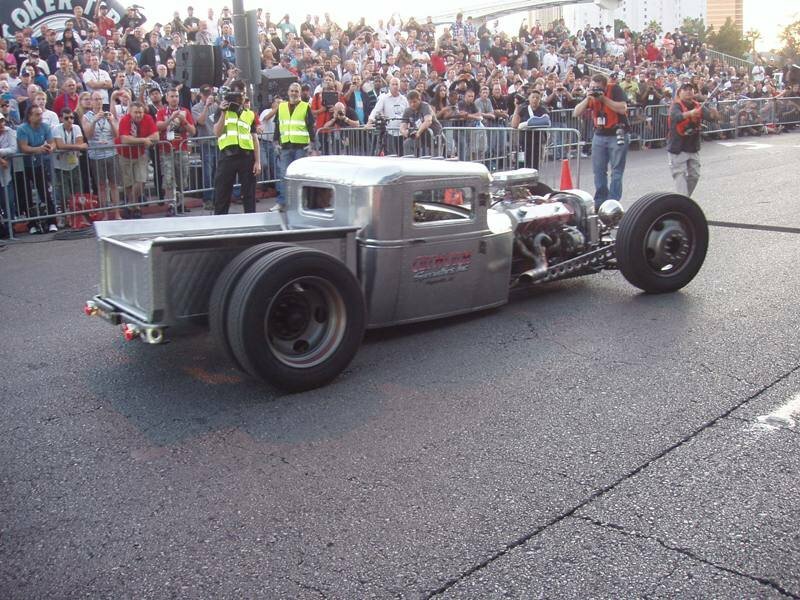 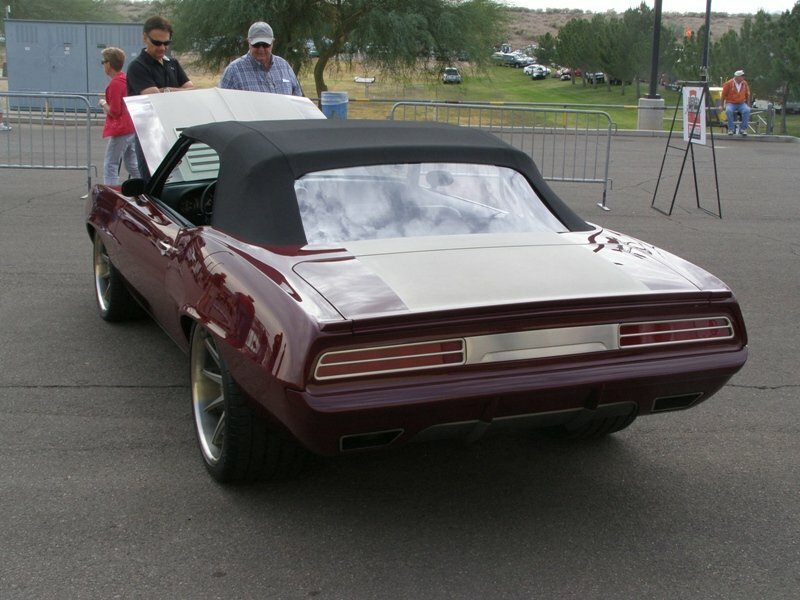 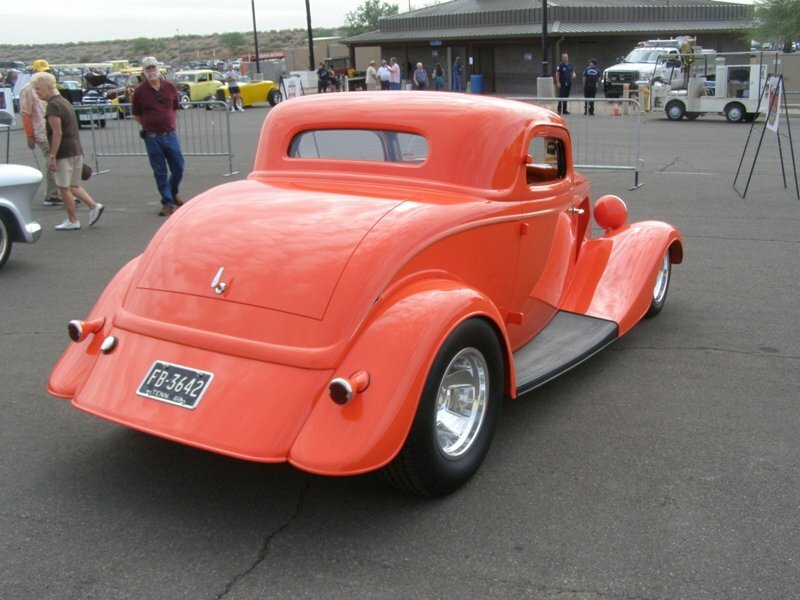 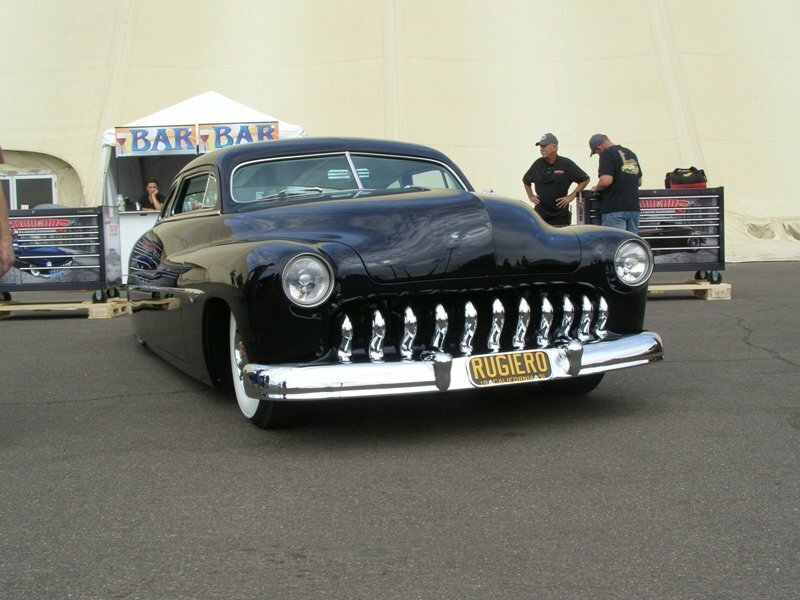 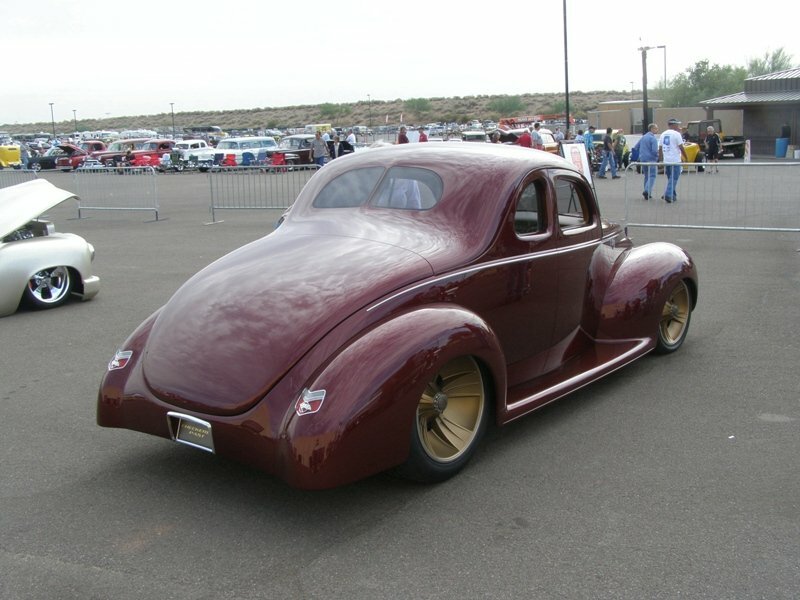 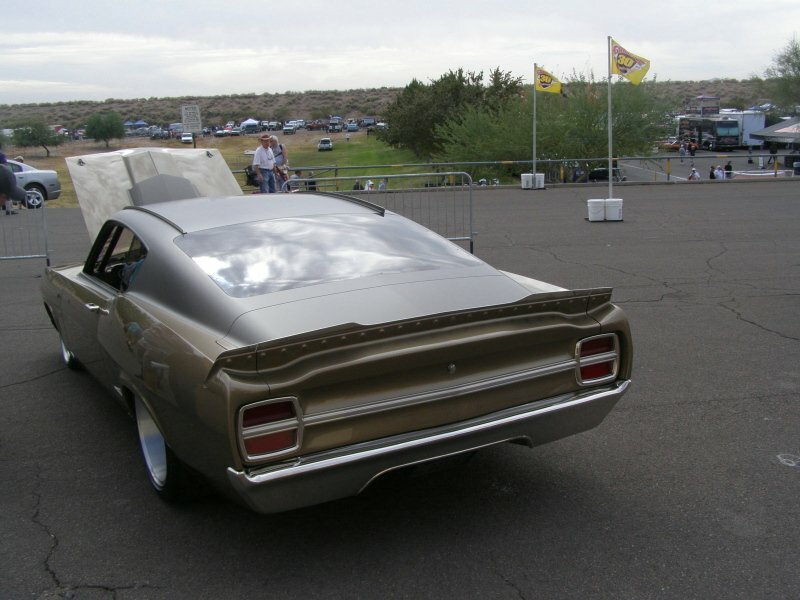 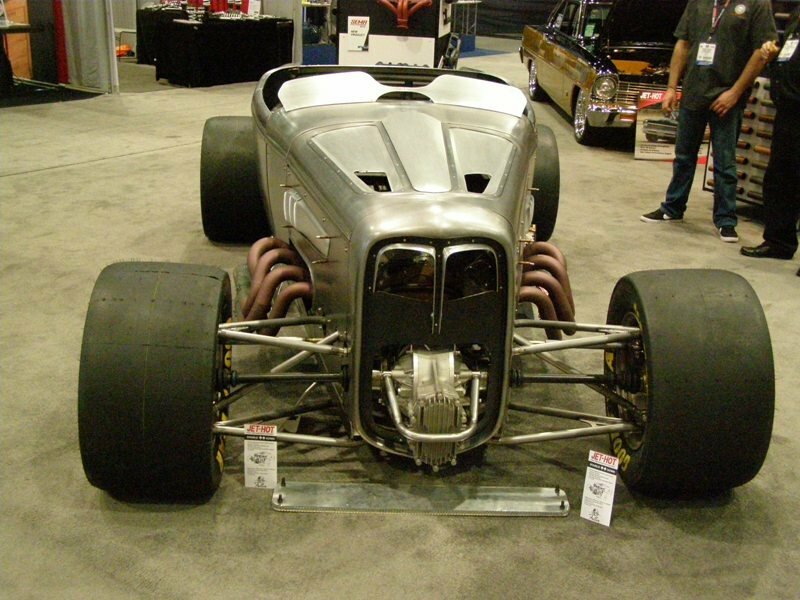 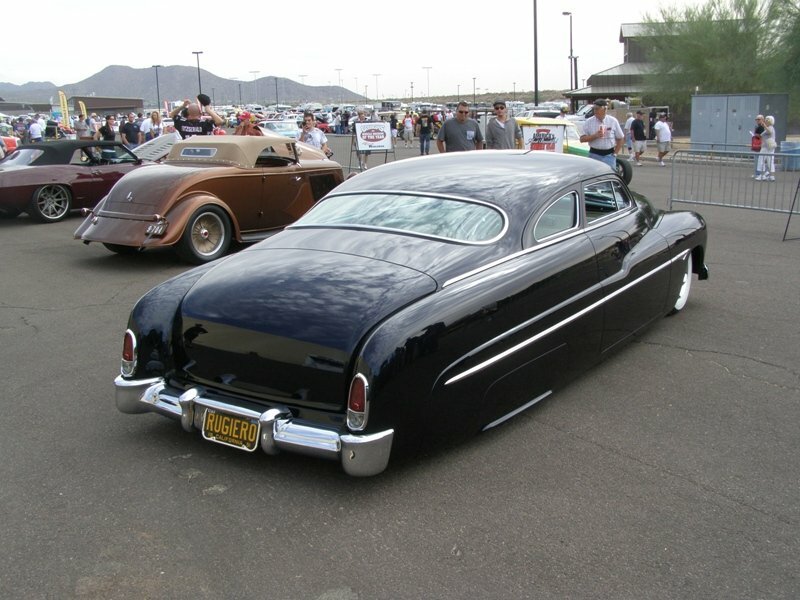 The cars are displayed at the Westworld show grounds on the top level of the asphalt.Â There the public can go by and see these cars up close.Â Throughout the show, the owners, builders or their representatives were usually around to answer questions and show off special features. 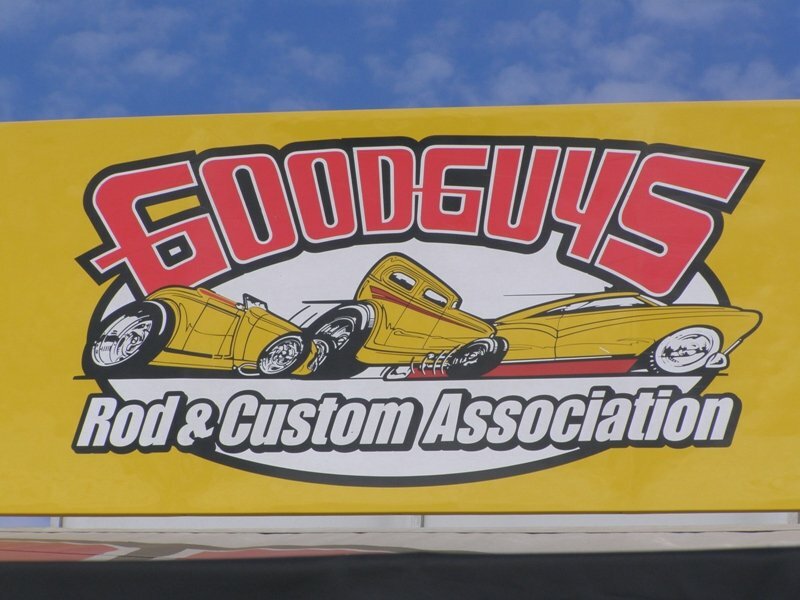 Goodguy’s had a great show overall with lots of cars and great weather.Â Subscribe to this blog to learn when we write up our coverage of the show. 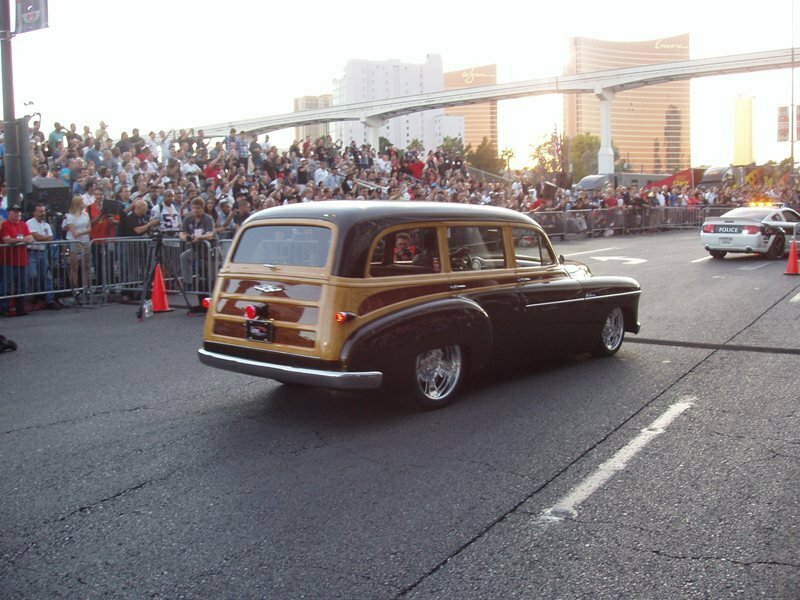 It’s always nice to share ideas, thoughts and car shows with others.Â You can check out the article here.Â The website posts a new article every day and never spams you.Â So check them out if you want a Northern perspective on car shows!Â Frankly sometimes, it is hard to realize that they are writing from Canada. 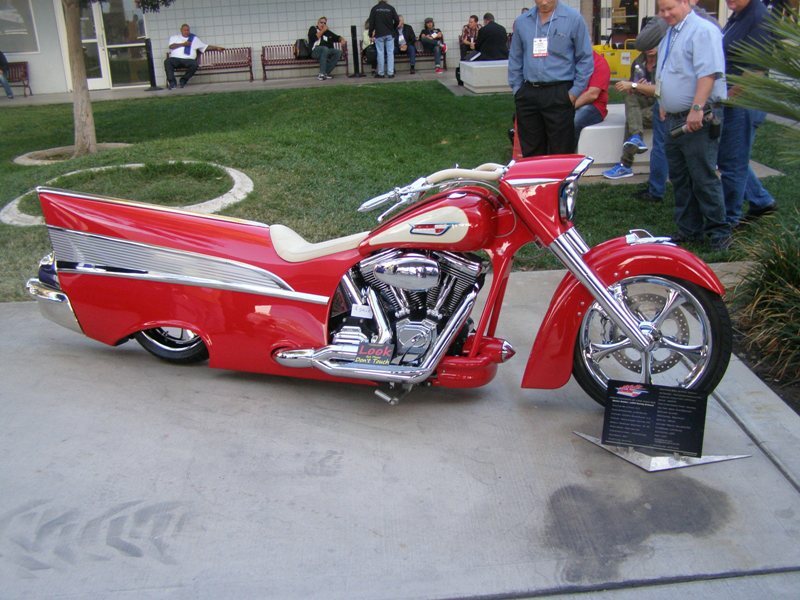 Take a 2008 Harley Davidson Dyna Street Bob motorcycle, add huge amounts of ingenuity, imagination and innovation and blend with over 3,000 hours of labor and you might end up with this homage to the ever popular 1957 Chevrolet Bel Air.Â This red beauty was seen at the SEMA (Specialty Equipment Marketing Association) show held in Las Vegas, NevadaÂ last week. 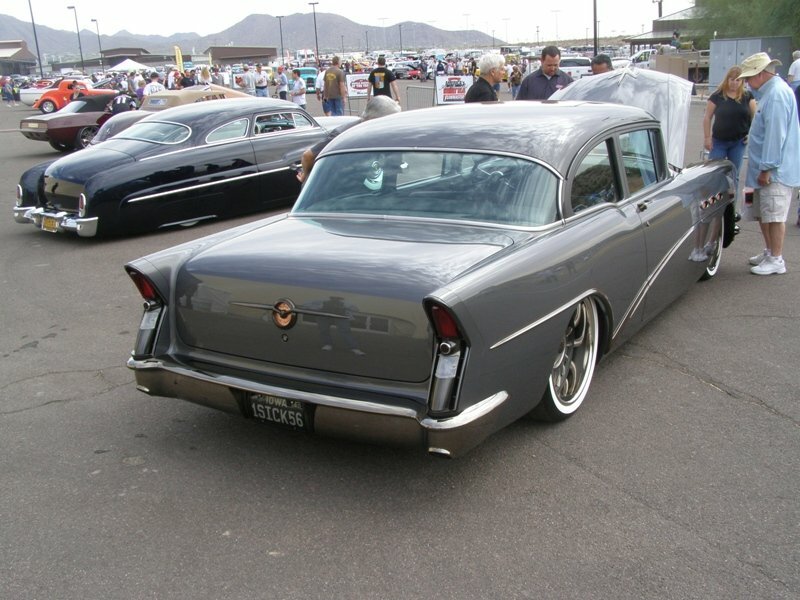 The 1957 Chevrolet Bel Air is an iconic look from the 50’s.Â Any enthusiast will easily recognize the front chrome bumper, the bullets on the hood, the swoopy aluminum molding along the sides and the wild fins and rear tail lights of the 57.Â It is ironic that these styling features were only found on the 57 and none of the other Chevy years.Â For the tri-five years, (1955-1957) Chevrolet altered the appearance and styling of their vehicle.Â Try re-tooling a car line now like that every year! 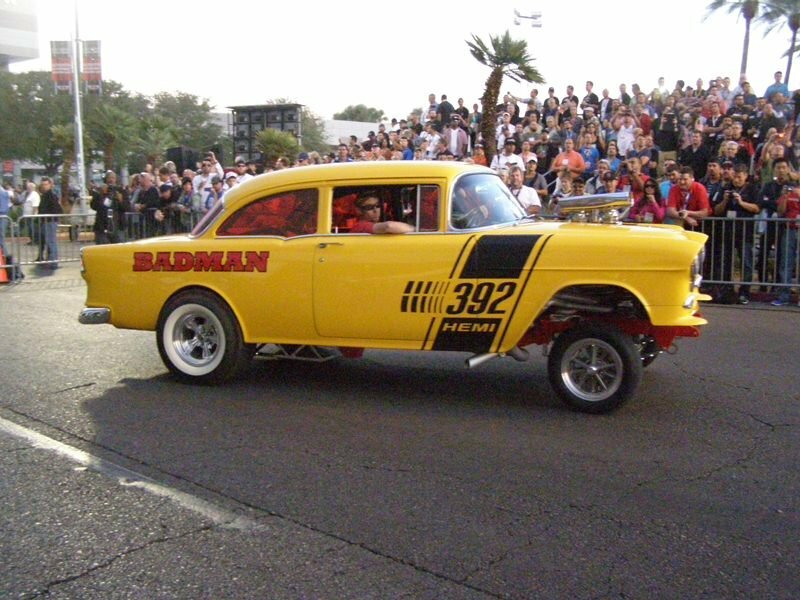 The builder, LUPO Racing, was from France and brought over this interesting takeoff on the iconic ’57 Chevy Bel Â Air.Â The builder/owner used the styling cues from the Chevy “fins” for his rear end and actually utilized the rear tail light to accentuate the rear view.Â The exhaust exits through the rear end’s light housing.Â Originally Chevrolet had thought of using the same idea for their cars, but the exhaust left a residue on the chrome which stopped that concept from going to production.Â Â He also used the “chrome Dagmar’s” Â from the Chevy’s front bumper to help carry off the theme.Â Add in some Chevy emblems and badging and mix up some great imagination, and you end up with one sweet look.Â Famed motorcycle builder Arlen Ness handiwork was even Â used for the engine cover. 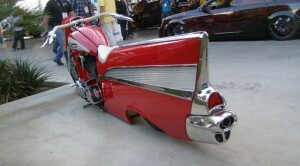 This motorcycle parked in front of the SEMA Show, where anybody could walk by and admire the handiwork.Â To top it off, the builder/owner drove it out of the SEMA Show on the Friday night Cruise.Â The bike caught the eye of Hot Rod Magazine, who was at the cruise too.Â Here’s their closeup of the motorcycle. The bike had been featured in two writes up in bikenet.com previously as well.Â Part One featured the frame and Part Two looked at the rear tail light housing. 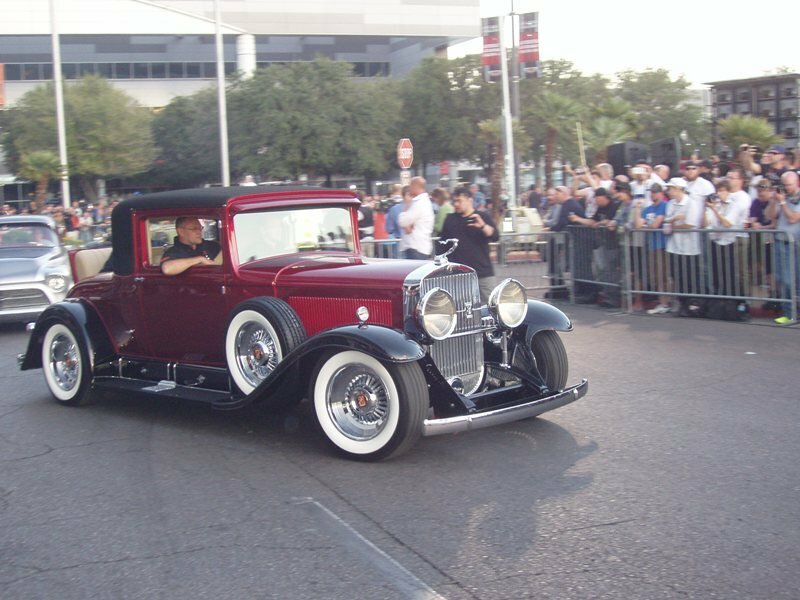 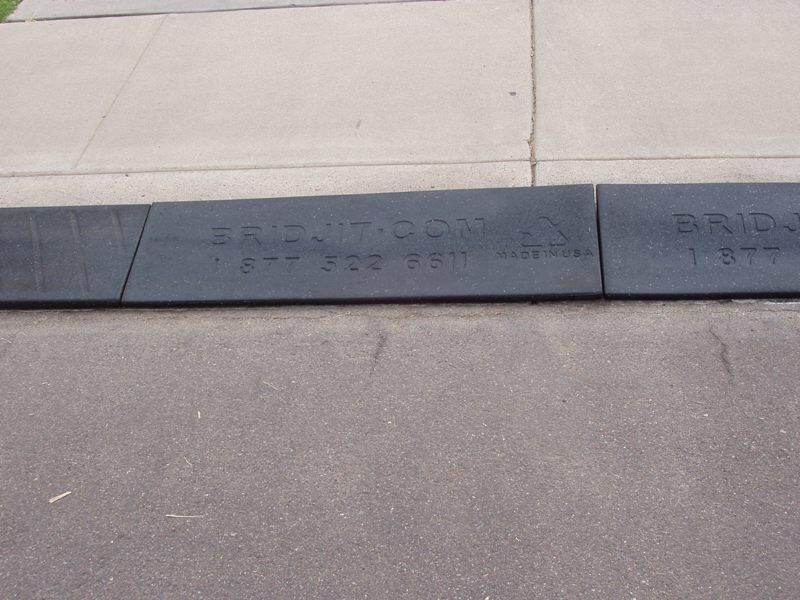 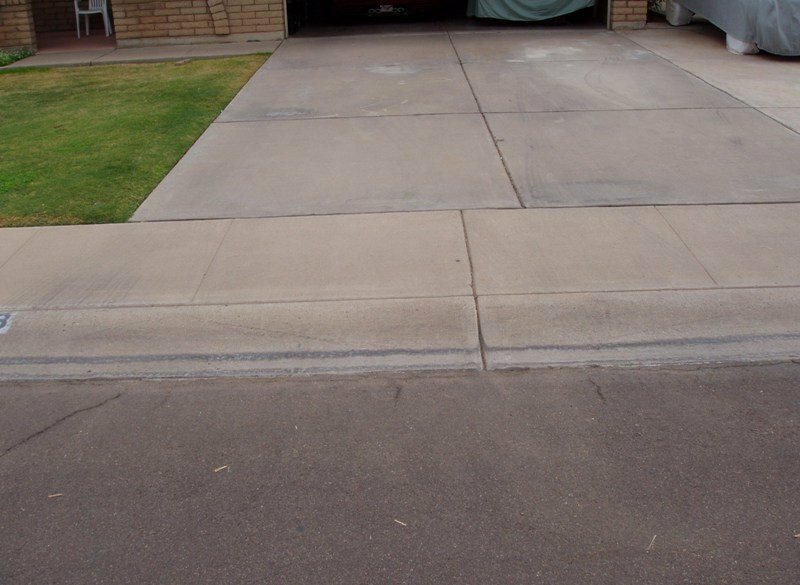 You’ve got to admire the craftsmanship of the builder and the expense of carting it over to the states to be seen for one week here in Las Vegas!